Michael Miller Charm Pack – Carole H.
Kona Solids Layer Cake – Sandra W.
Quilting Treasures Fat Quarters – Elizabeth O.
Kwik Clip – Janet M.
Signed Quilty Magazine – Elizabeth W.
Fabric Scraps – Vicki P.
Extra Layer Cake – Kathy B. 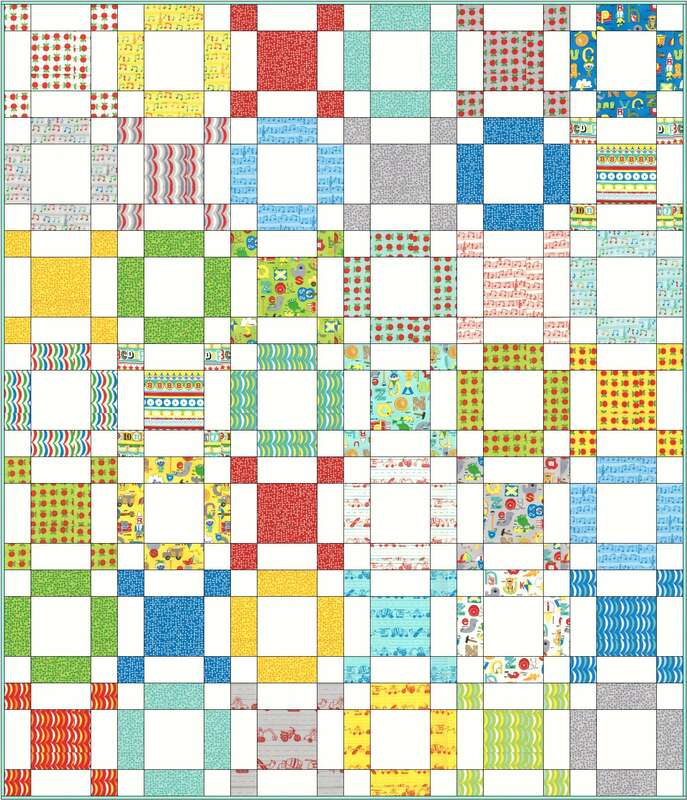 Extra Scraps – Megan V.
And now, for those of you who didn’t win, I wanted to share some free quilt patterns from Craftsy, just in case you didn’t know they existed. Part of my “job” of being a freelance blogger is that I get to do occasional “pattern roundups” featuring fun patterns from the Craftsy community. Free pattern on Craftsy, courtesy of During Quiet Time and shared with permission. 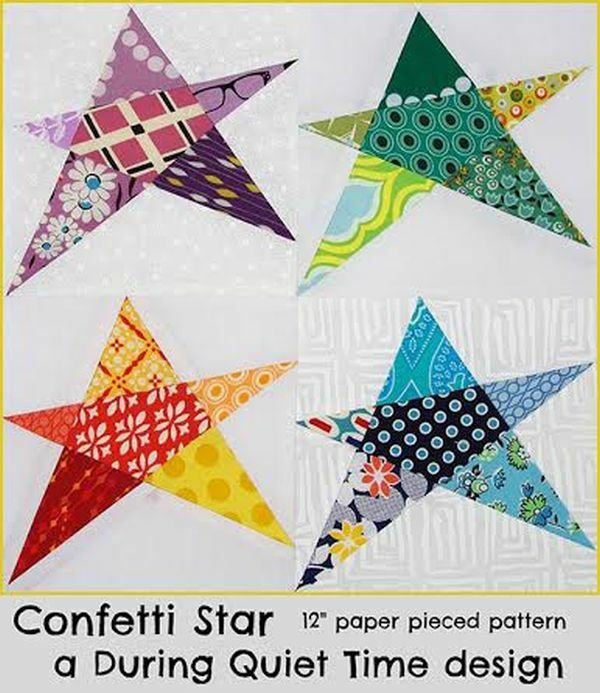 I recently picked 5 free paper pieced patterns to showcase in a recent Craftsy blog post. This was hard work as there are literally hundreds to choose from! It’s easy to find the rest of the free patterns. Simply go to patterns on Craftsy and then sort by “lowest price.” All of the free ones will then be shown first. You can literally spend hours combing through them all. Happy hunting! 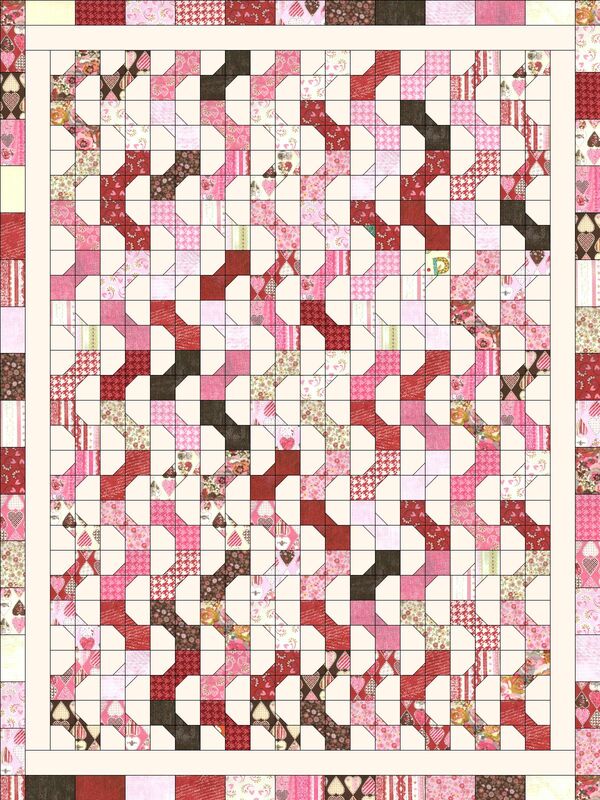 Welcome to part 4 of my Hugs ‘n Kisses Quilt Along! 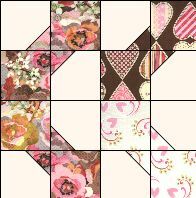 For anyone just joining me, Hugs ‘n Kisses Quilt Kits are available for purchase while supplies last. 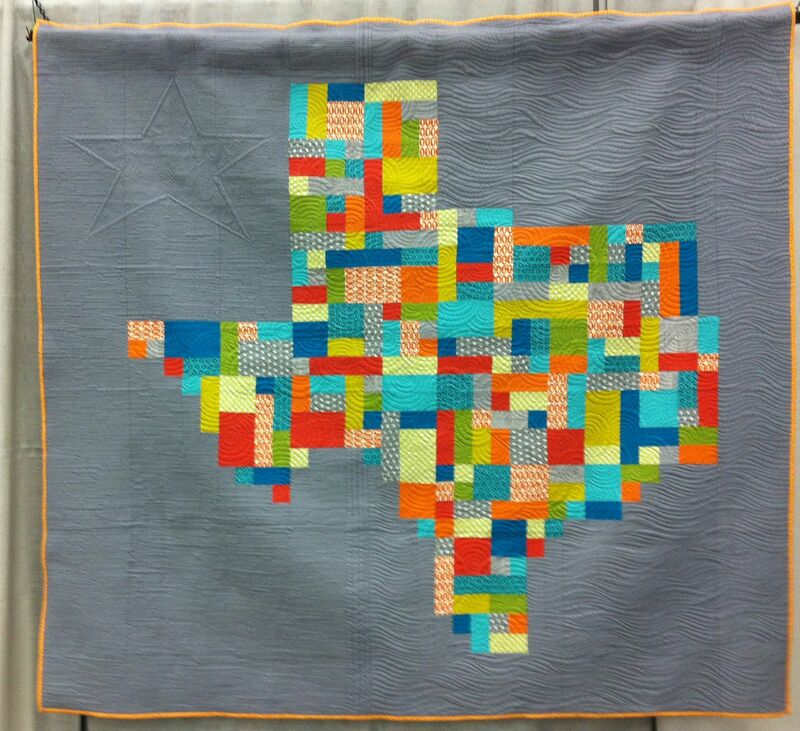 Thanks to all of you who have shared your quilt along pictures on my flickr group so far. 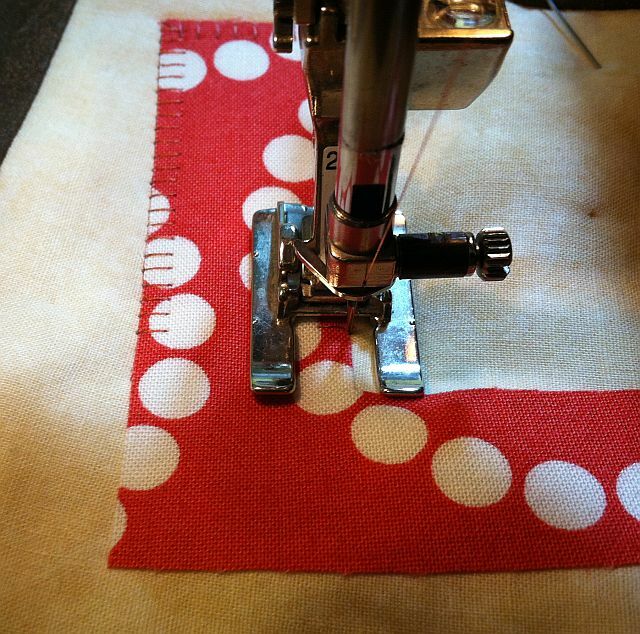 It’s been “sew” fun to see your progress! Scroll to the end of the post for the quilt along schedule. It took me a total of 2 hours to sew all my blocks. Did you finish your bow ties from last week? If not, that’s ok. I added an extra week to my schedule to give everyone a chance to catch up. That means less homework this week! 140 Bow Ties is a lot! It takes 4 bow tie units to complete one X or O block. Sew two bow ties together to complete half of the block. Repeat for the other half of the block. At this point you can decide whether you want it to be an X or an O. Chain piece all of your pairs of bowties until you have a total of 70 “half-units”. 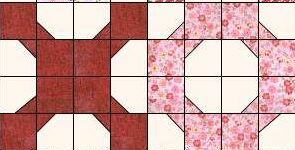 For an X block, join the halves with the print squares in the middle forming an X. For an O block, join the halves with the background squares touching to form an O. I pressed all of my seams open so that it did not matter which way I rotated the units. 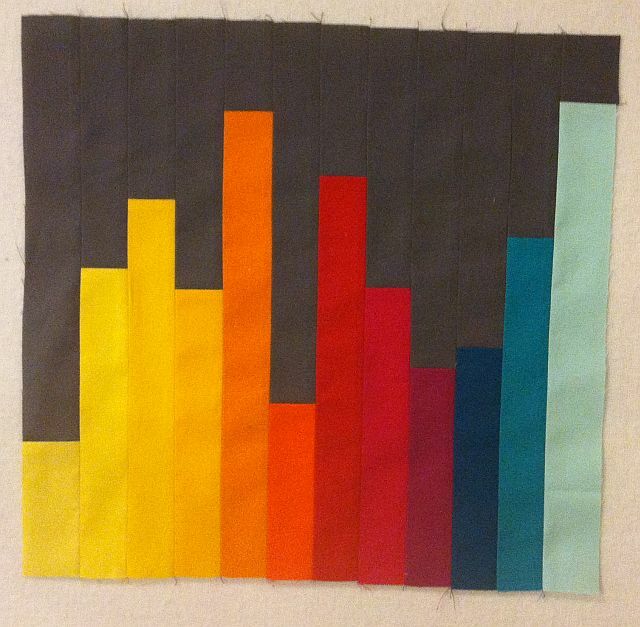 Sew a total of 18 X blocks and 17 O blocks. You should have a total of 35 blocks. 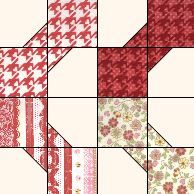 For a fun design aesthetic you could try to make the X blocks from mostly medium/dark fabrics and the O blocks from mostly light/medium fabrics. It’s up to you! Play around with your bow ties and see what other designs you can come up with! On the left is a sketch of what my quilt will look like. On the right is an alternate layout. 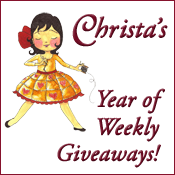 If you have any questions about this week’s homework, please be sure to join my flickr discussion or email me directly at christa@christaquilts.com. Quilt Along Schedule – Links will go to each active post when published. 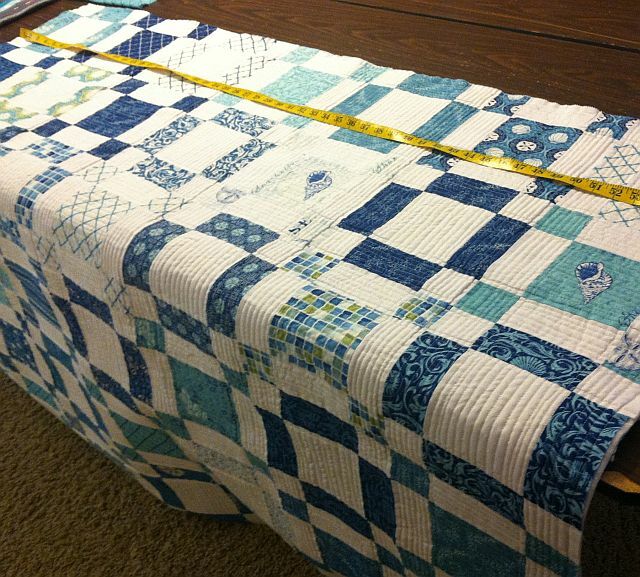 5.11 – 5/8/13 Binding – It’s Finished! Time for another fun quilt-along! My Hugs ‘n Kisses design is based on a quilt I made several years ago. 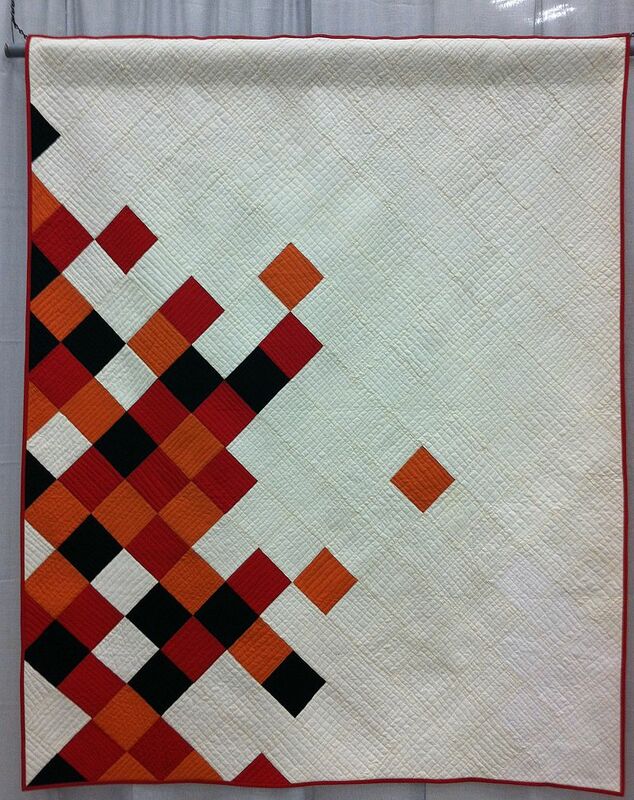 If you look closely, it’s similar to the quilt shown on my blog’s header. Over the years I’ve had several requests for this quilt pattern, so I finally decided to make one! 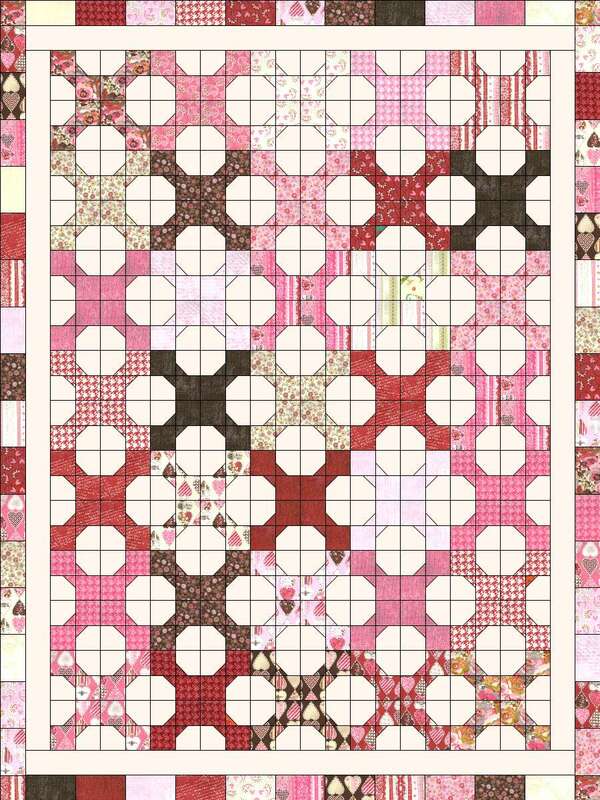 I designed this quilt using EQ7 so that it will work with Jelly Rolls or precut strips. 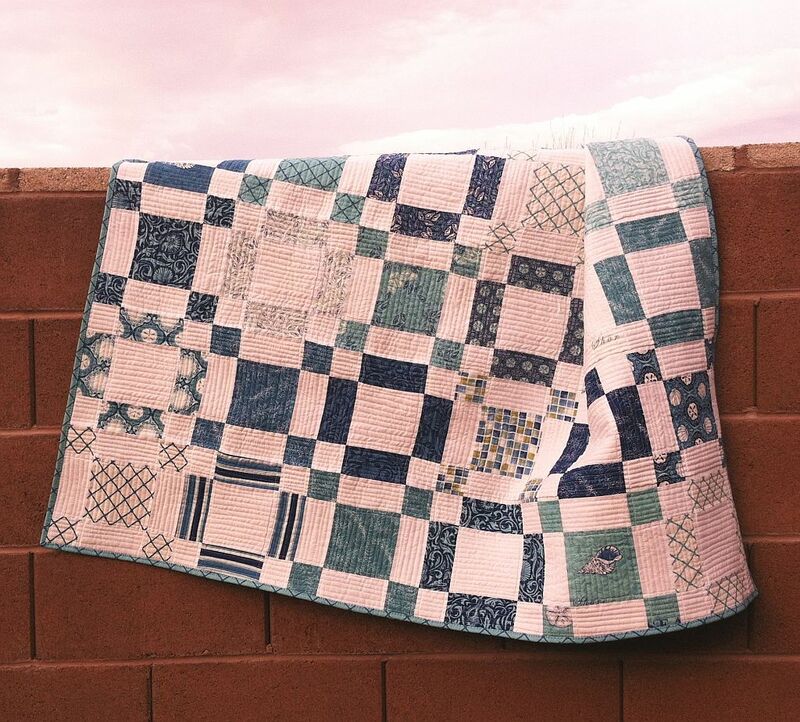 Although I am making this quilt in the size stated above, you can easily double the yardage requirements, purchase additional kits, or add borders to make it bigger. 1 Jelly Roll of print fabric. You may use any jelly roll or set of precut strips you like as long as you have at least 38 – 2.5″ strips. 2/3 Jelly Roll of solid or background fabric, or 24 – 2.5″ strips. If you prefer to purchase yardage and cut the strips yourself, you will need 1.75 yards. 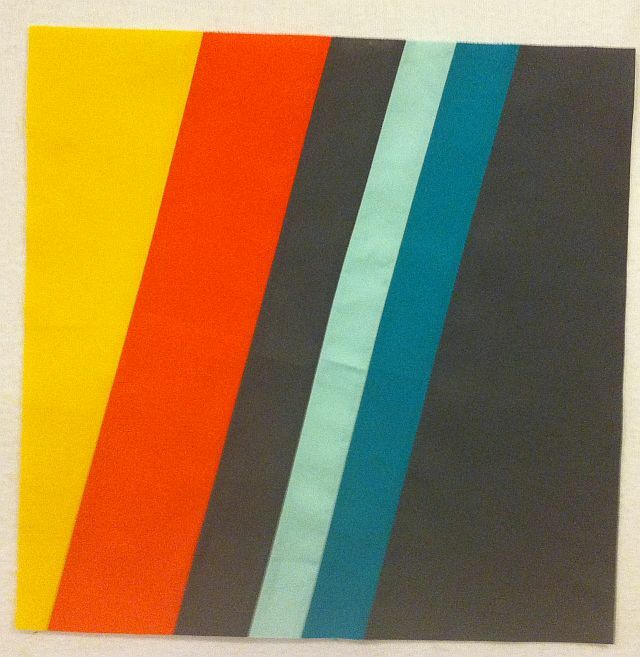 1/2 yard fabric for the binding in a coordinating color – I prefer to use solid 2.25″ strips. Purchase a little more if you like wider strips. At least 52″ x 68″ piece of batting; my favorites are high quality cotton or wool. 3 yards of non-directional fabric the backing, or scraps and fat quarters to total about 3.5 yards if you prefer to make it scrappy like I do. If you have any questions please be sure to join my flickr discussion or email me directly at christa@christaquilts.com. My head is so full of inspiration right now that I feel like it’s going to burst! I think I will spend most of this week blogging, and getting my ideas organized and written down. 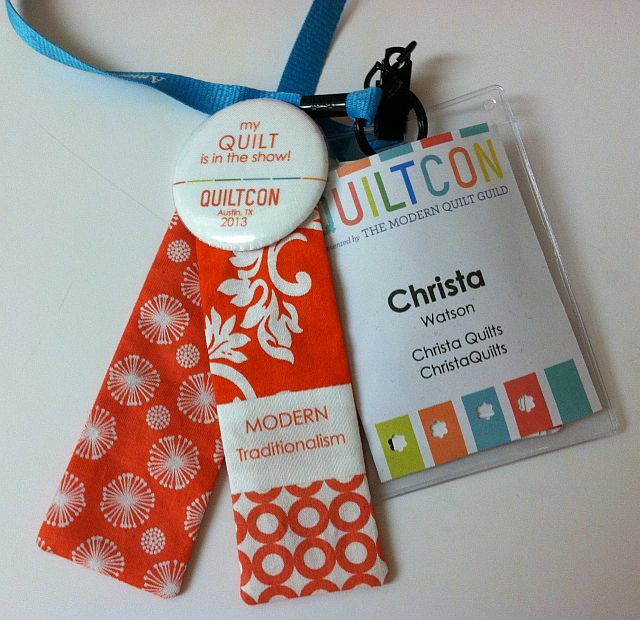 Every quilt that was entered received a participation button that looked like a mini-ribbon, so it’s like my own personal keepsake. I can’t thank the organizers enough for all their hard work! 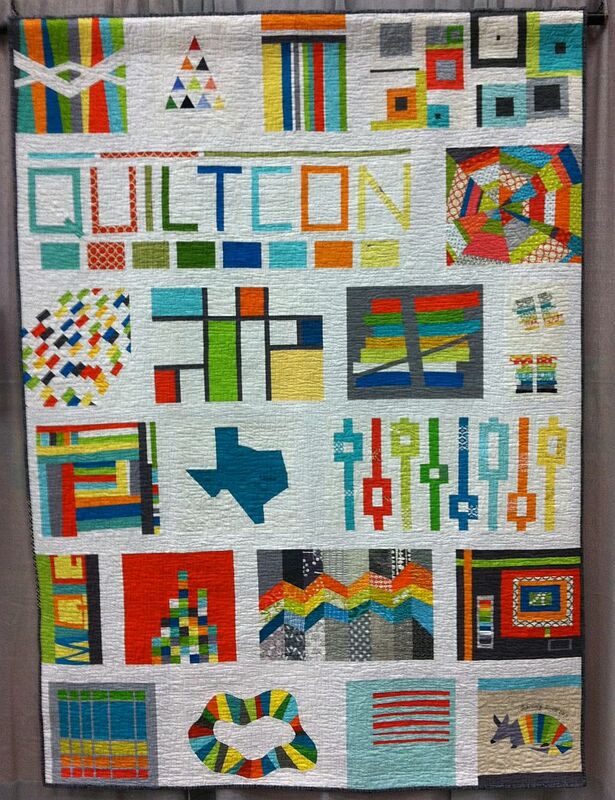 I am already anticipating the next QuiltCon in 2015. It was such a pleasure to be a part of this experience! 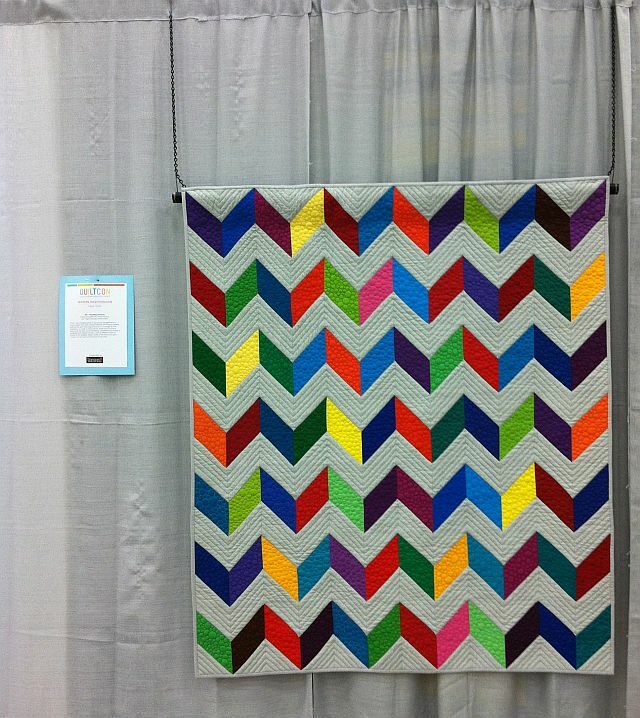 If you like my Charming Chevrons quilt above, you can follow my free tutorial series on how to make it. 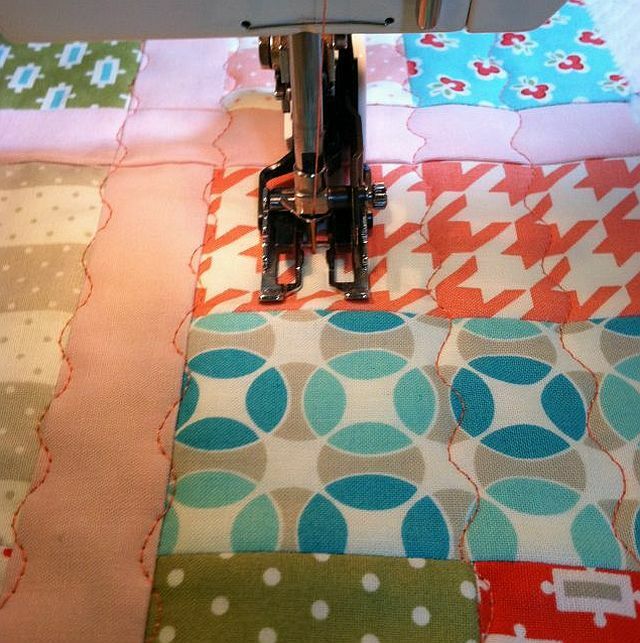 Today I am going to show you a quicker way to bind your quilt – by machine. Sometimes when I am in a hurry (like this week trying to finish all my quilting tasks before heading off to QuiltCon), a machine binding is just what I need! 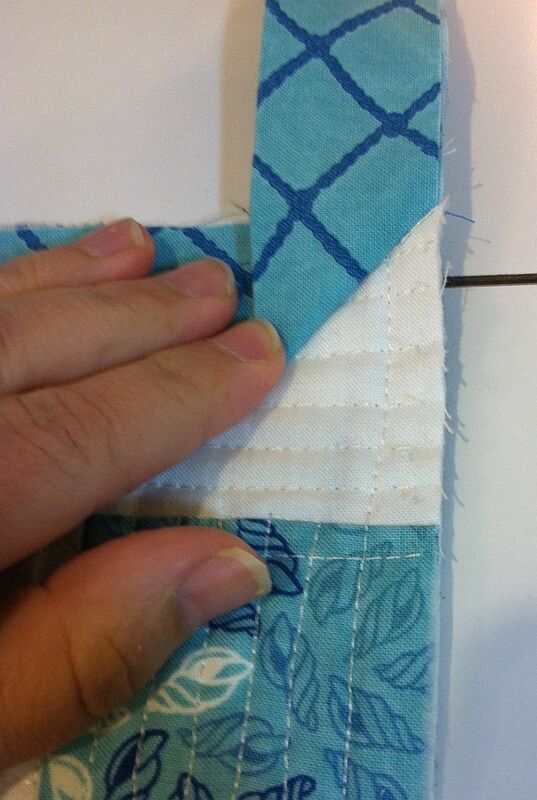 Before binding, you want to start with a nicely trimmed edge, flush with your quilt. I don’t leave any batting peaking out. My method ends up with a fully stuffed, flat binding. Using a large square ruler, I trim up all 4 corners first. If anything is out of alignment, I gently tug it back into place. Then I trim up all the sides with a long ruler. My favorite binding is called double fold straight grain binding, and it is super easy to make. You start off with strips of fabric, cut them on the straight of grain, then fold them in half twice to get the double fold. It holds up well especially on quilts that get a lot of use. First, measure the perimeter of your quilt and add on 10 inches for corner folding, seams and “insurance.” In this case, my Sea of Squares quilt measures 50″ x 58″. It shrunk about 2 inches due to the intensity of the quilting on it. I need a total length of 226 inches (50+50+58+58+10). If I divide this by 40 inches (the length of a fabric strip), I end up with 5.65 strips which I round up to 6 binding strips needed for this quilt. 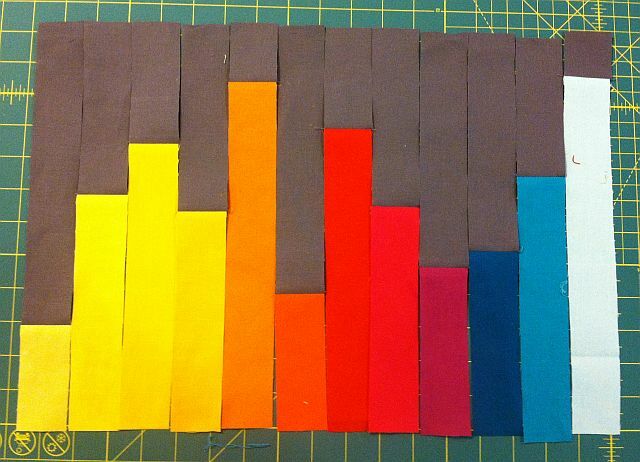 I cut all my strips 2.25 inches wide. 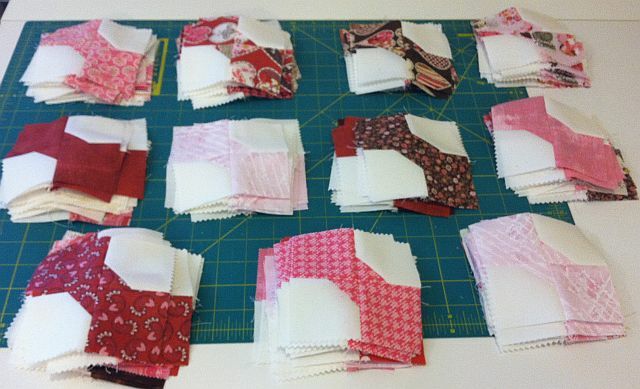 For those of you sewing along using one of my Sea of Squares kits, binding fabric is included. 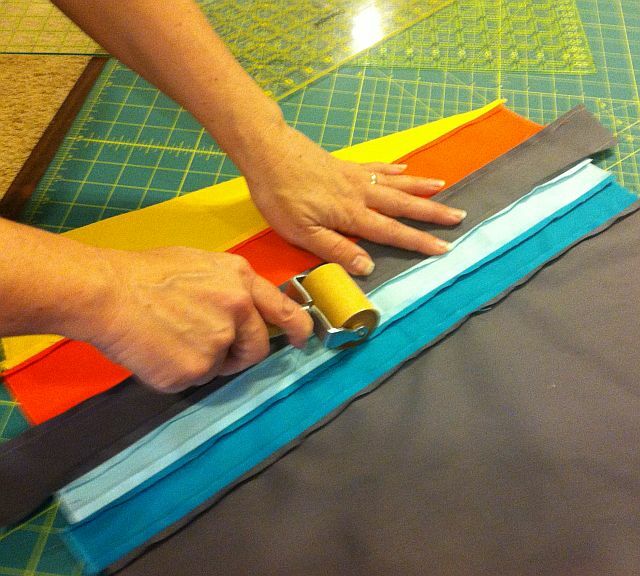 Join all of your binding strips into one long piece. 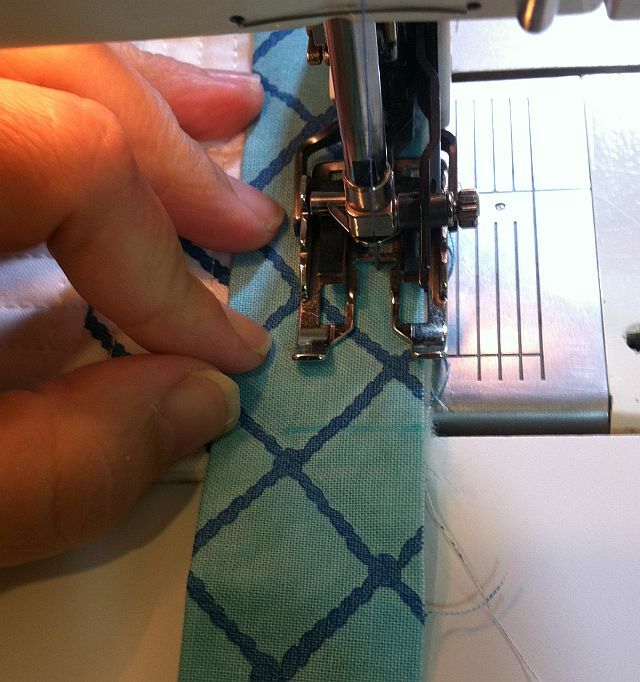 Sew the ends on a mitered angle so that the bulk of the seam will be distributed more evenly. Be sure to cut one end of the binding on the same 45 degree angle. 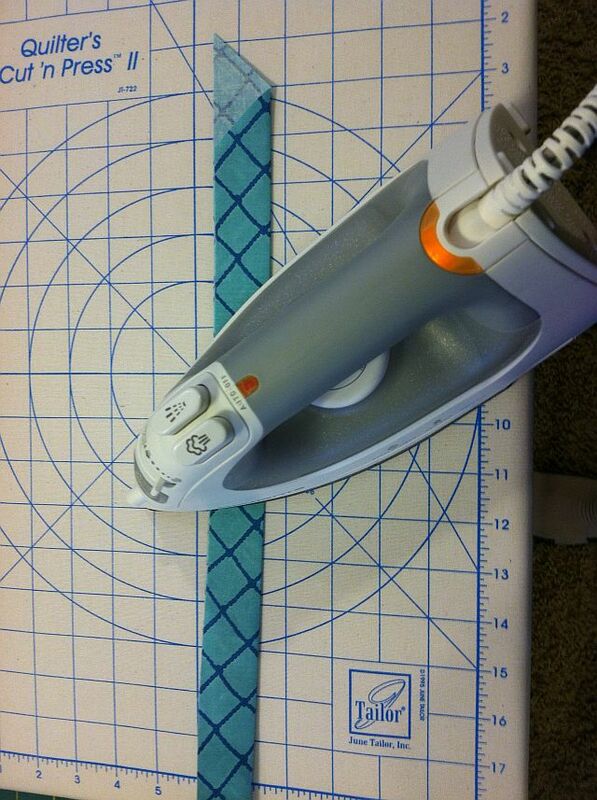 Fold the strips wrong sides together and press along the length with a dry iron. Before attaching to the quilt, I will pin part of the binding to one side, starting somewhere in the middle. Loosely walk the binding all the way around the quilt to ensure there will not be any mitered seams falling on the corners of your quilt. Whether finishing the binding by hand or machine, this part is the same. 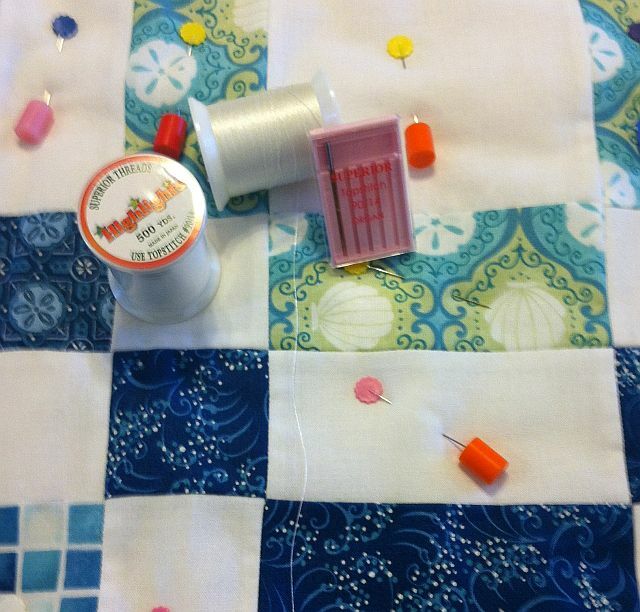 Using coordinating or matching thread in top and bobbin, sew the binding to the front side of the quilt. 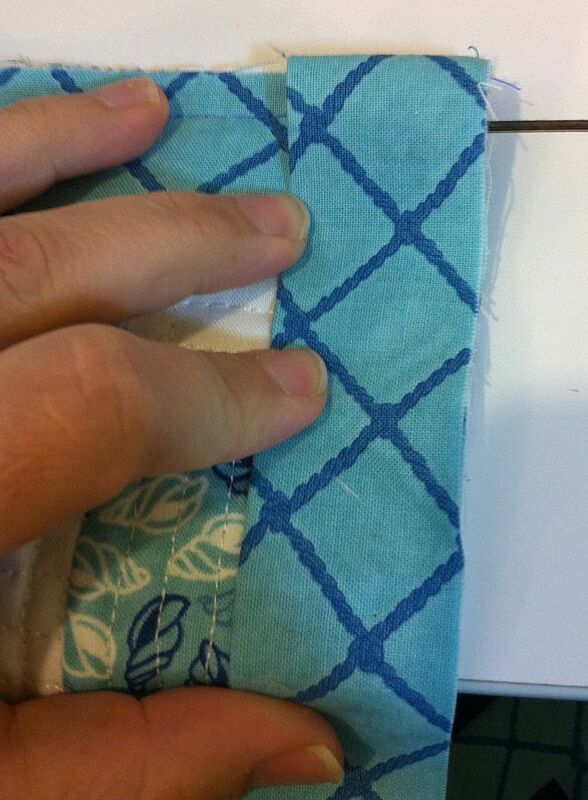 Starting with the binding on the angled end, leave a few inches of unsewn “tail” and use quarter-inch seams. 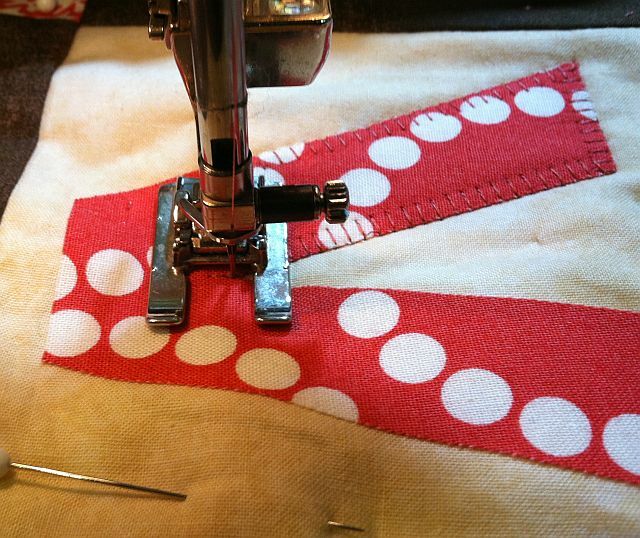 Be sure that you are sewing with the raw edges of the binding and the raw edges of the quilt in the seam. These will be covered with you flip your binding to the back. You may wish to add a few pins to secure. When you near a corner, be sure to mark a line 1/4″ away from the corner. 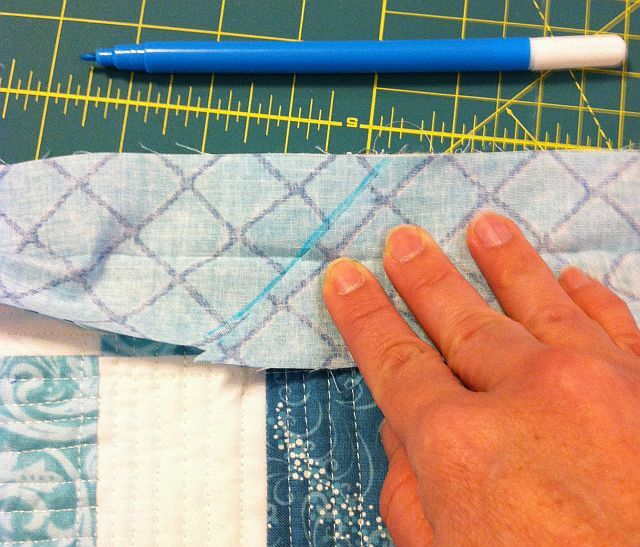 Stop sewing at this line, then turn your quilt 90 degrees and sew off the edge. Flip the binding strip to create a 45 degree angle, pinch the excess, and then fold it back down. 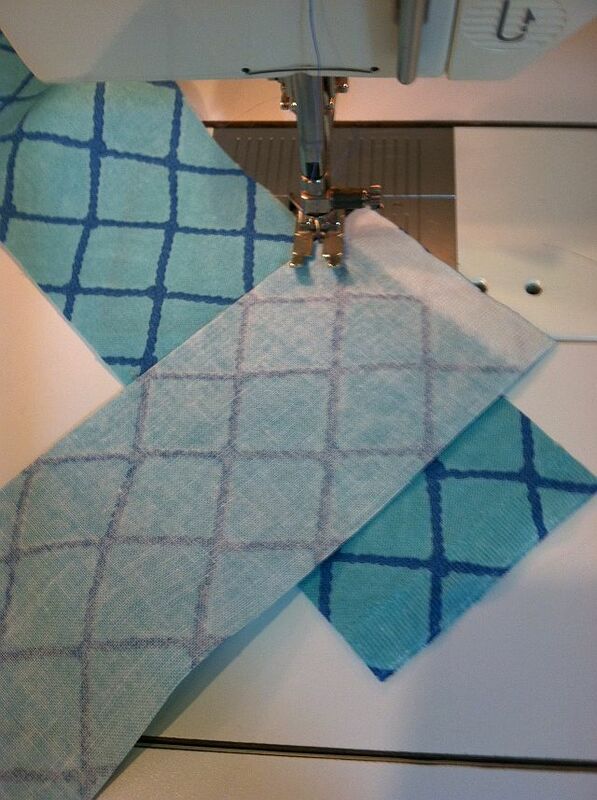 This creates the excess fabric allowing for a nice miter on both front and back of the quilt. Begin sewing the next side starting at the corner of your quilt. Repeat for all 4 corners. Leave about 6 inches of tail when you finish sewing. This will be joined next to create a continuous binding. This is probably the trickiest part of the whole binding process. 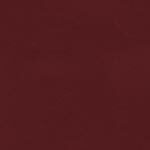 You want the ends to be joined with a nice miter seam that does not give any extra slack. Open both tail ends. Place the angled tail on top of the blunt tail and draw an erasable line along the edge of the angled tail where it meets the blunt end. You will need to account for both seam allowances, so cut 1/2 inch away from this line, keeping the 45 degree angle. Now join the two ends together with 1/4″ seam. Use pins if needed and offset each of the triangle tips by about 1/4″. Finish attaching the binding to the front of the quilt. I have a tendency to pull on my binding as I’m sewing, stretching it and creating a wavy edge that needs to be blocked. By pinning first, this can eliminate most of the stretching. 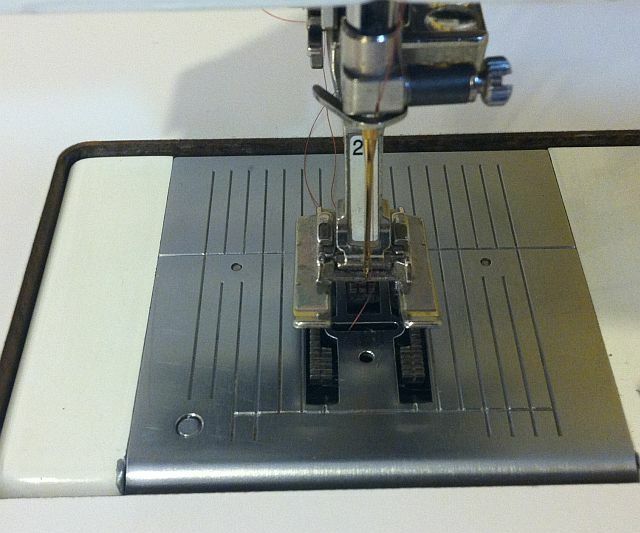 There are several different ways you can finish stitching the binding on by machine. For example, you can stitch in the ditch from the front side but only if you are absolutely sure you are catching the binding on the backside, too. You can stitch using straight lines or decorative stitches. Just sew slowly and be sure to catch the corners as you go around the quilt. A decorative stitch can hide a lot of mistakes! For Sea of Squares I chose to use a reverse blanket stitch (similar to the regular blanket stitch I used for my machine applique table runner). The stitching won’t line up perfectly on the back but if you use a blending thread it won’t matter too much. 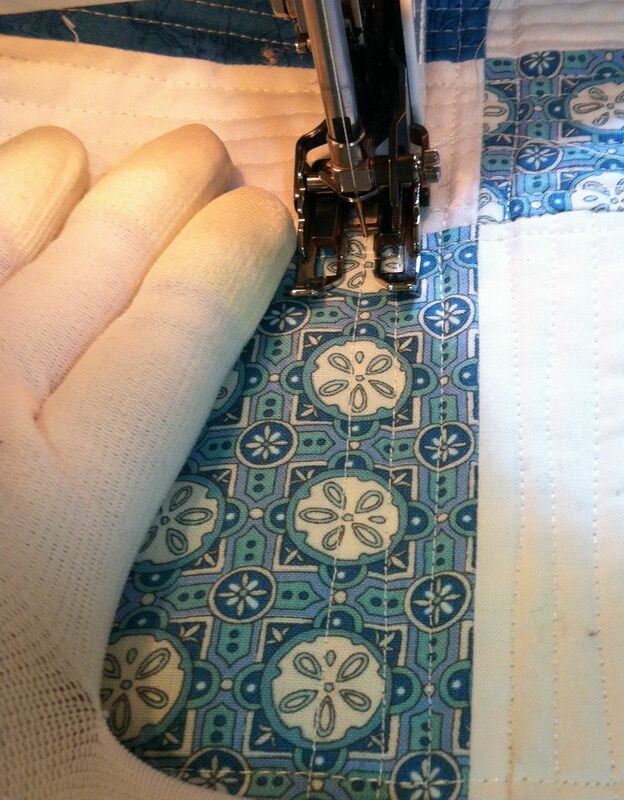 Often times I have finished by quilting a decorative stitch from the backside, too.The picture below shows the binding I did on my first quilt-along, the Jolly Jelly Roll Quilt. I used one of my favorite stitches on my machine, a wavy serpentine stitch. 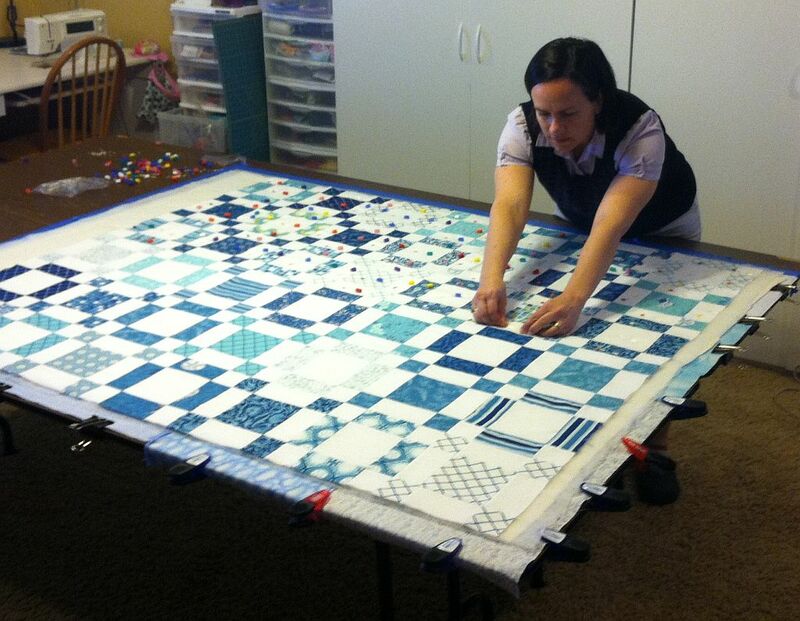 I hope you have enjoyed following along as I made my Sea of Squares Quilt. 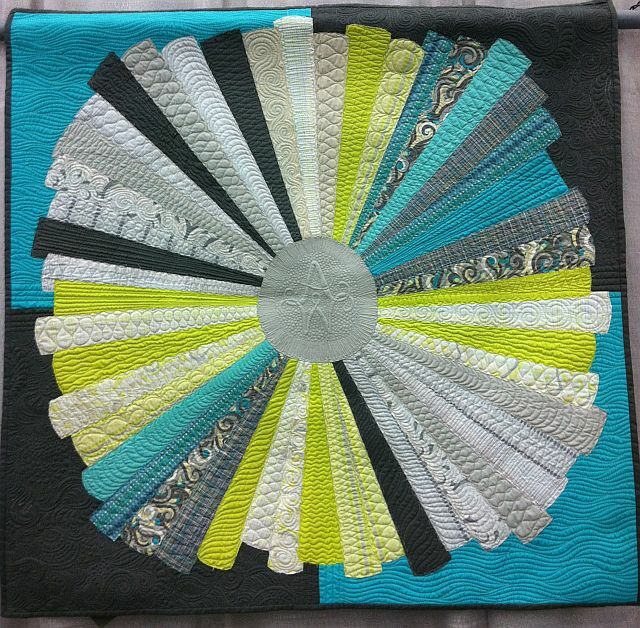 I learned a lot from it and I encourage you to give this quilt a try. If you are currently working your way through your own version of Sea of Squares, I’d love to see it! 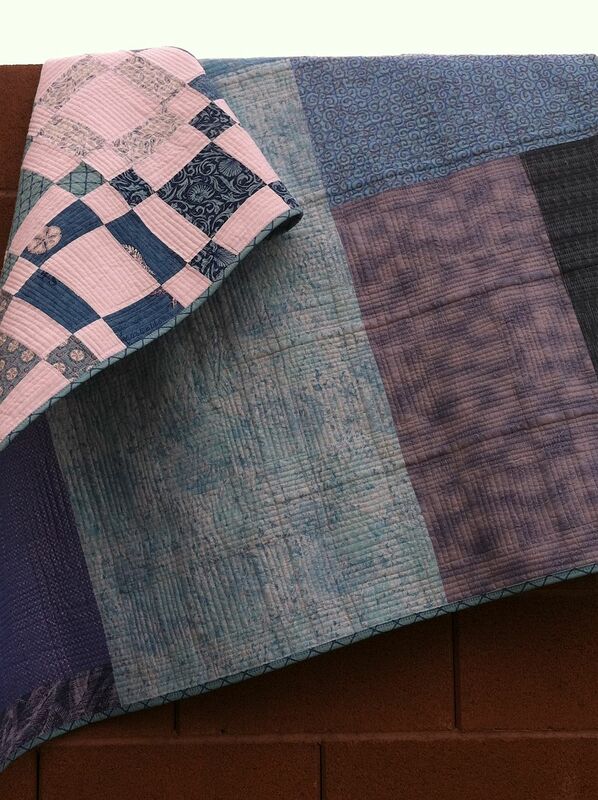 You can share photos of your work in progress on my flickr group: Christa’s Quilt Along. 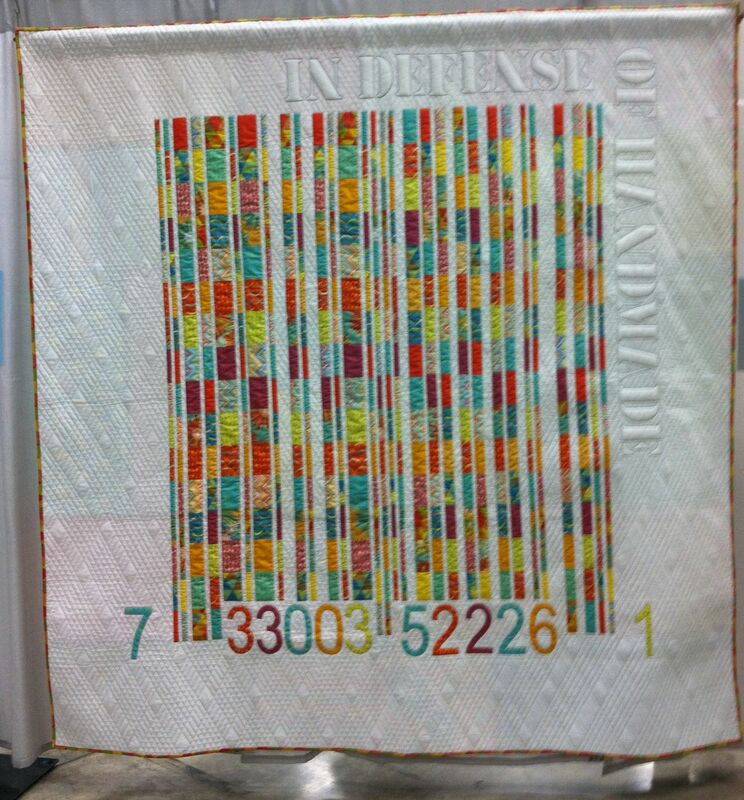 Here is a picture of the back of Sea of Squares, showing all that machine quilted texture. Click any of the links below and follow along at your own pace. Can you believe this quilt is almost done? Next week I will show you how to bind it by machine. The following week I will start all over with another brand new quilt-along. Here’s a hint for my next quilt: it requires 1 Jelly Roll and a 1 1/2 yards of background. 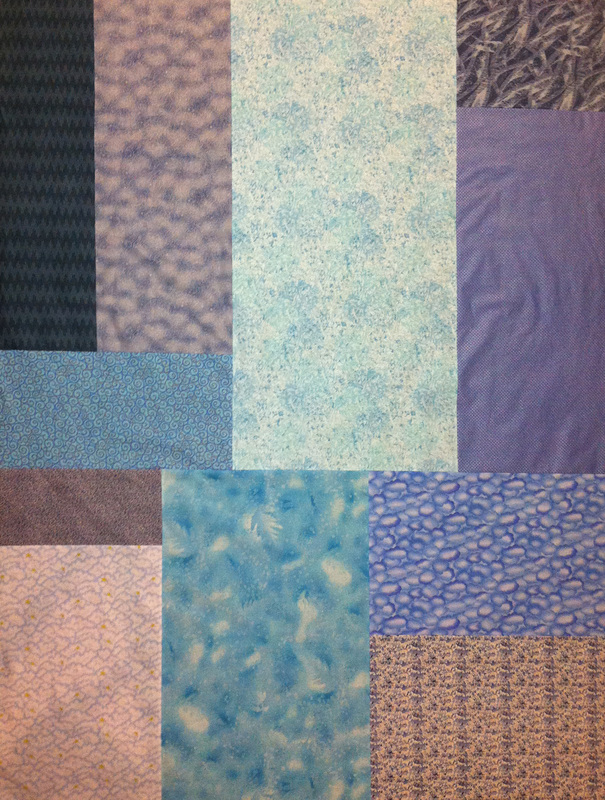 This week I added tons more quilting to my Sea of Squares quilt. I spent an extra 7 hours gleefully quilting along, adding loads of texture with straight slightly wonky lines using my walking foot. If I had planned ahead I would have quilted about an hour a day for 7 days. Instead, being the procrastinator I am, I did it all in one day, but it was still fun! First I started with what was easy. I quilted parallel lines all going the same direction through all of the skinner sash rows. I worked my way across the quilt, one row at a time, flipping the quilt when there was too much bulk under the machine. Now it’s time to fill in the rest of the space. 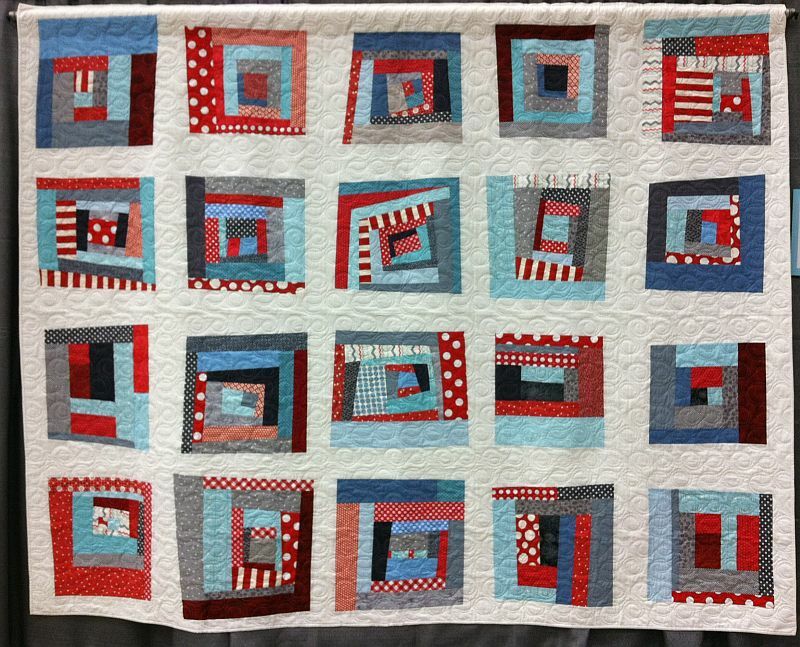 I quilted the rectangles with lines running perpendicular to the previous quilting lines. For the big squares I alternated directions. 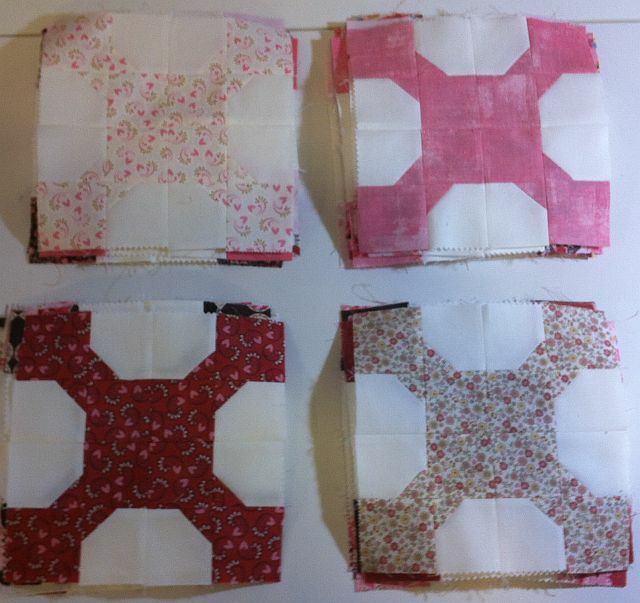 I quilted the print squares all one direction, and the solid squares the other way. It was cold that day so I bundled up while quilting! I wanted to try out the continuous reverse feature on my machine. I can push a button once and it will sew backwards until I push it again to stop (and I don’t have to keep my finger on the button). So I would quilt one line of quilting, then push the reverse button and quilt a line backwards without having to turn the quilt all the way around. It was great! It took about 1000 yards (2 spools) of thread just for the top. I used the same color in a thinner weight for the bottom so I wouldn’t run out of thread. Quilting this quilt was very liberating for me. I did not mark the quilting lines because I wanted to add a touch of modernity to the quilt with more organic-looking texture. Once I let go of my perfectionist tendencies and got into the “waviness” of the lines, it set me free to enjoy the process. Jason is always telling me to go bold and let out my inner artist. So now I’m giving you the same permission! 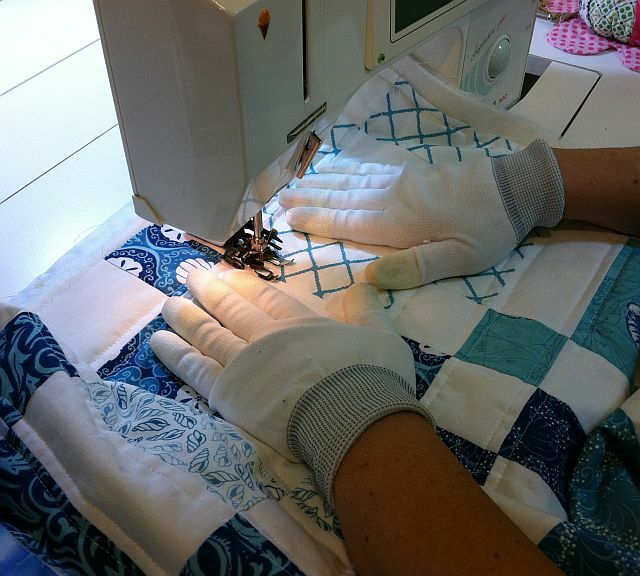 Be sure to take a look at my flickr group so that you can see the wonderful quilts being made by everyone else. And if you are working through any of my quilt-alongs, I’d love to see your progress! In fact, Judith shared her version of Sea of Squares in beautiful brown and cream. 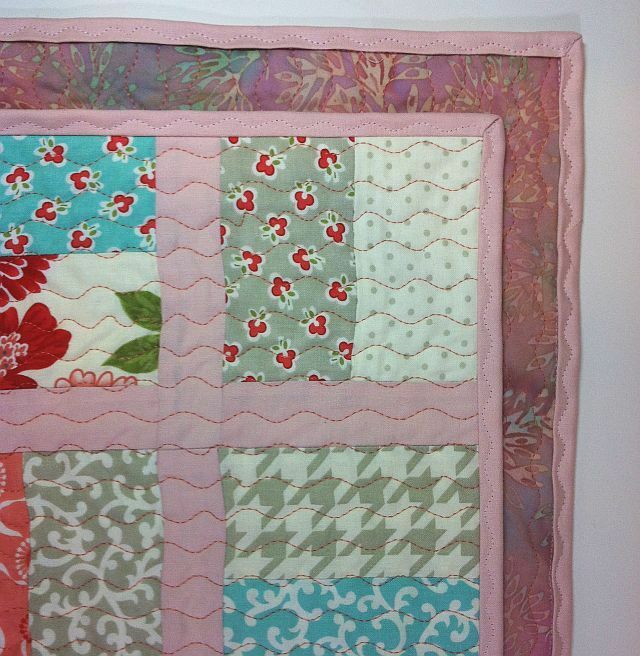 Notice the wonderful quilting she did with wiggly lines across the surface and quilting motifs in the blocks. I love it when you can really make your quilt your own. Nice job, Judith! 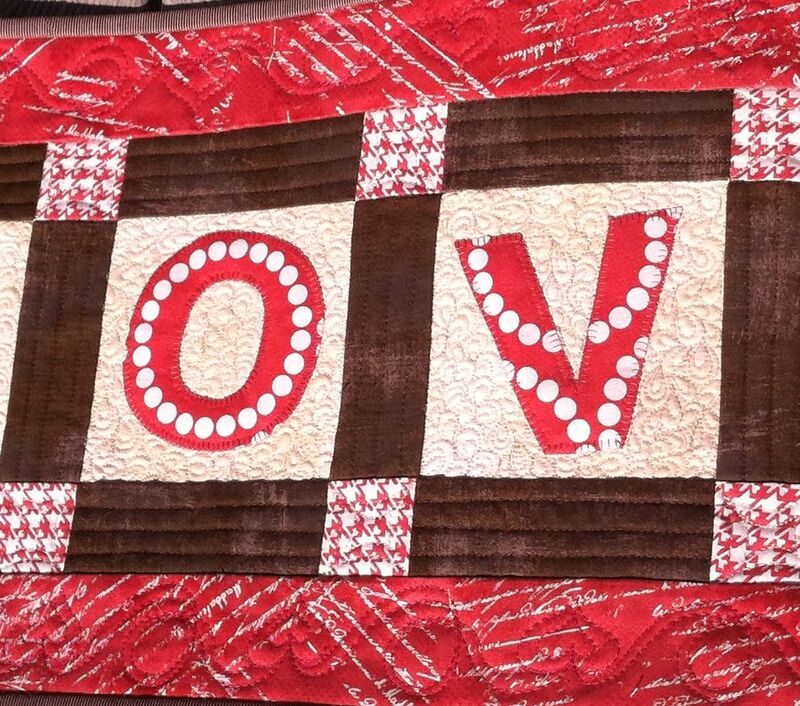 This weekend I finished my Love table runner. 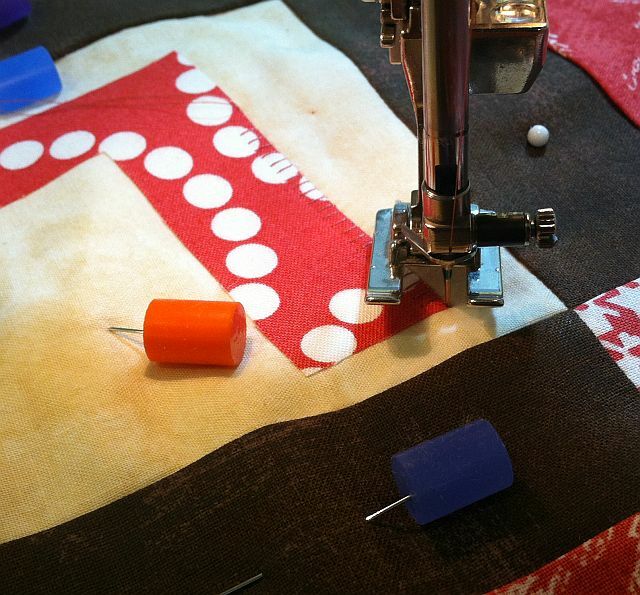 Today I will show you how to applique and quilt it all at the same time! Scroll to the end of this post for links to the previous tutorials. The letters were traced and applied to the background fabric with Steam-A-Seam 2, my favorite type of fusible web. Now it is time to applique them down. You can use safety pins, or my favorite basting tools – straight pins and pinmoors. I chose a scrap of thin cotton batting (Warm-N-Natural) because it lies very flat which is what I want. I use an open toe foot with a wide needle plate. The open toe allows me to see my work so that I can be more precise. I prefer to use silk thread in a color matching my fabrics for the applique. It is so thin that it nearly disappears into the fabric. A lightweight cotton works well, too. If you don’t have a thread color that’s an exact match, go with a darker thread color rather than a lighter color. I like to use a buttonhole or blanket stitch rather than a thready satin stitch because it’s much lighter on the quilt and more forgiving to stitch out. Practice with a few decorative stitches on scrap fabric until you find one you like. 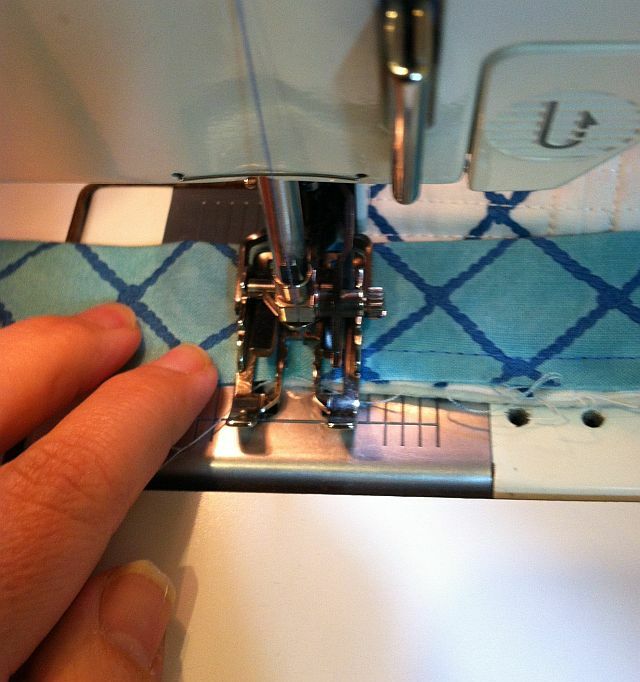 You can use a regular straight stitch, too, sewn closely to the edge of your fabric pieces. 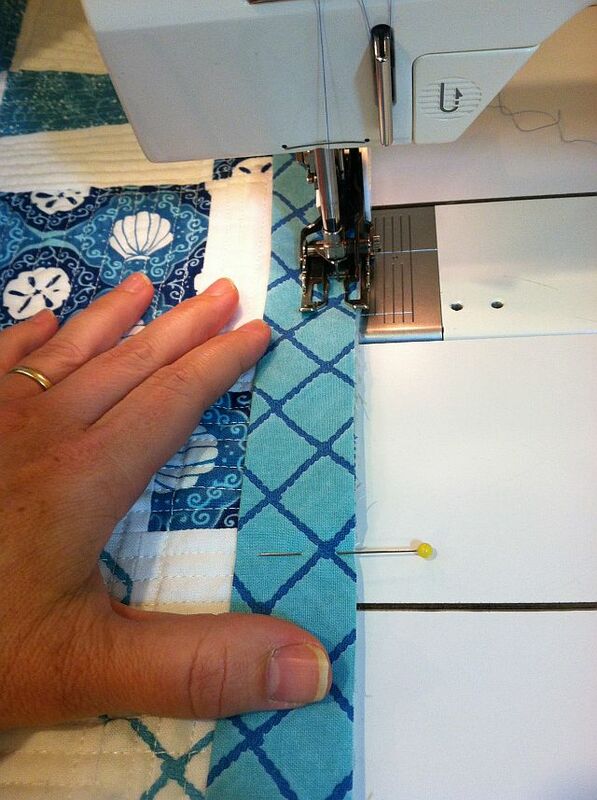 You need to learn the “rhythm” of your stitch so you can anticipate where the needle will next pierce your fabric. 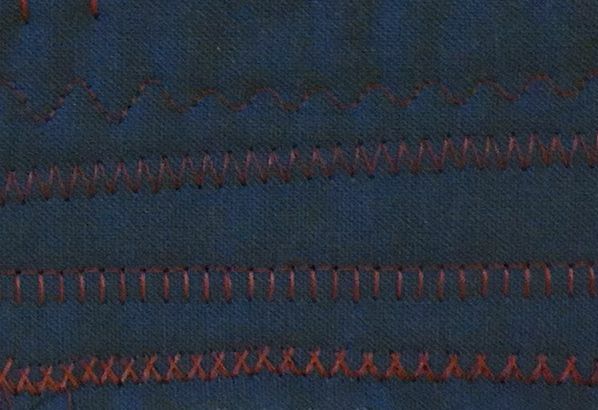 Sew slowly and “count” how many movements it takes to complete the decorative stitch. 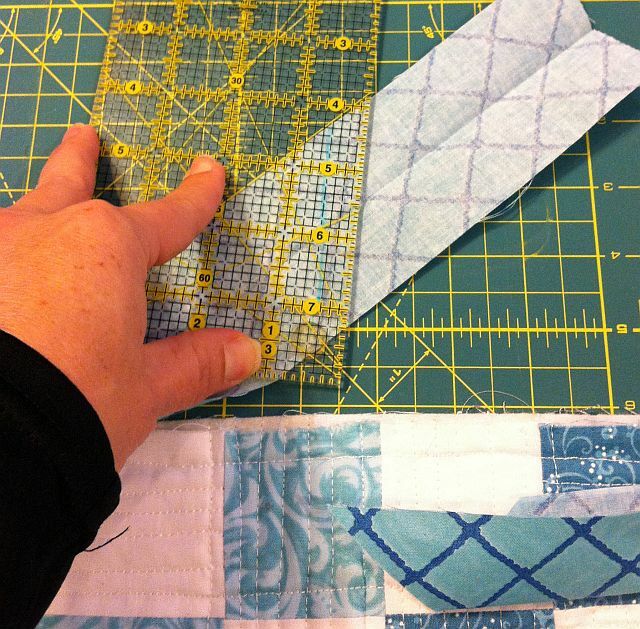 Since you will be stitching through all the layers of your quilt, you don’t need a stabilizer. I suggest using the same thread color in the bobbin as well as the top to hide any less-than-perfect stitching or tension issues. Start in the middle of your letter and bring the bobbin thread up to the top. Take a few small straight stitches to lock your threads. 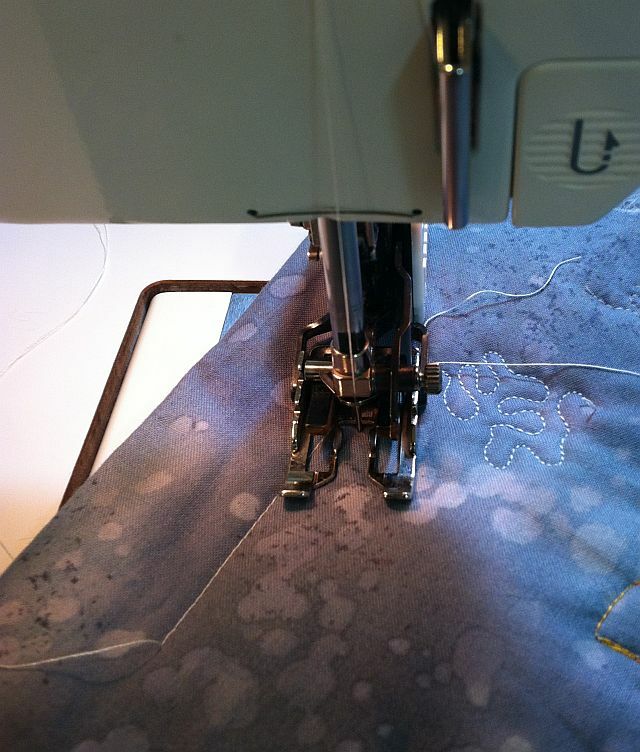 Then switch to the decorative stitch on your machine. 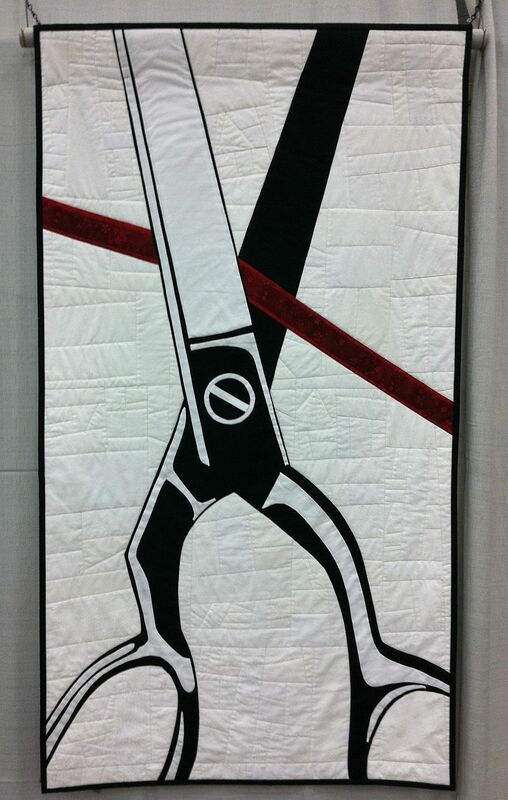 You may need to scoot your quilt over so the needle position lines up correctly. Anticipate where your needle will pierce the fabric on each movement of the stitch. 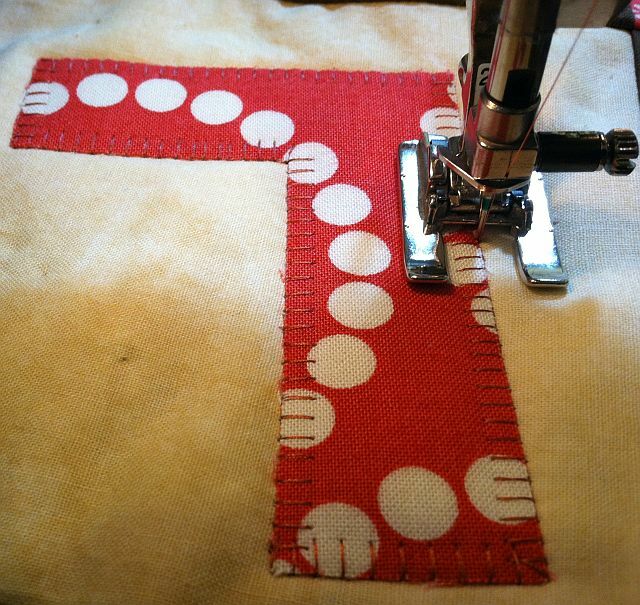 Turn the top slowly and smoothly as needed so as to avoid stitching outside the letters into the background. If you have the “needle down” function on your machine, use it. 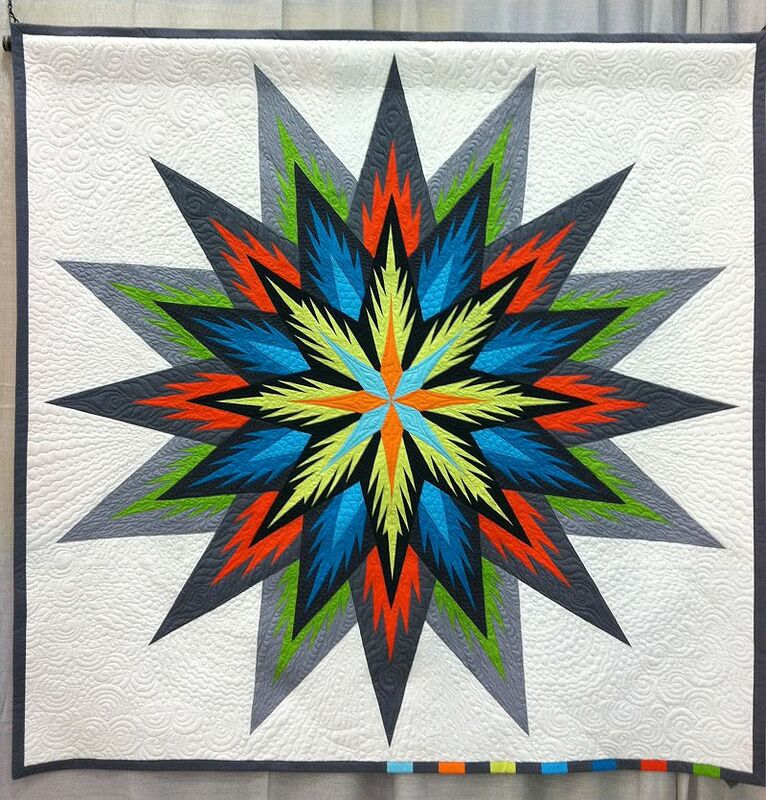 Always stop with your needle down before turning your quilt. Pivot when needed. When you have an inside turn, try to land your stitch right in the middle. Don’t be afraid to pivot every stitch or two when needed to completely outline the letters. When you reach the beginning, change back to a straight stitch and end with a few small locking stitches. Clip your threads close. When you get to the ‘O’ stitch the inside first. Finish stitching all of the letters the same way. 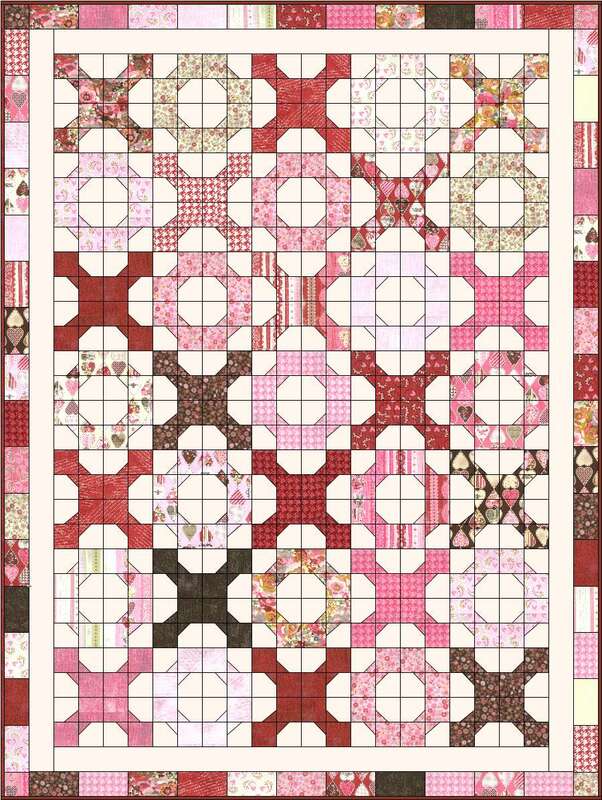 Now you can have fun quilting the rest of your quilt however you like. I like a lot of quilting, and the background fabric can give you a chance to add a lot of texture. 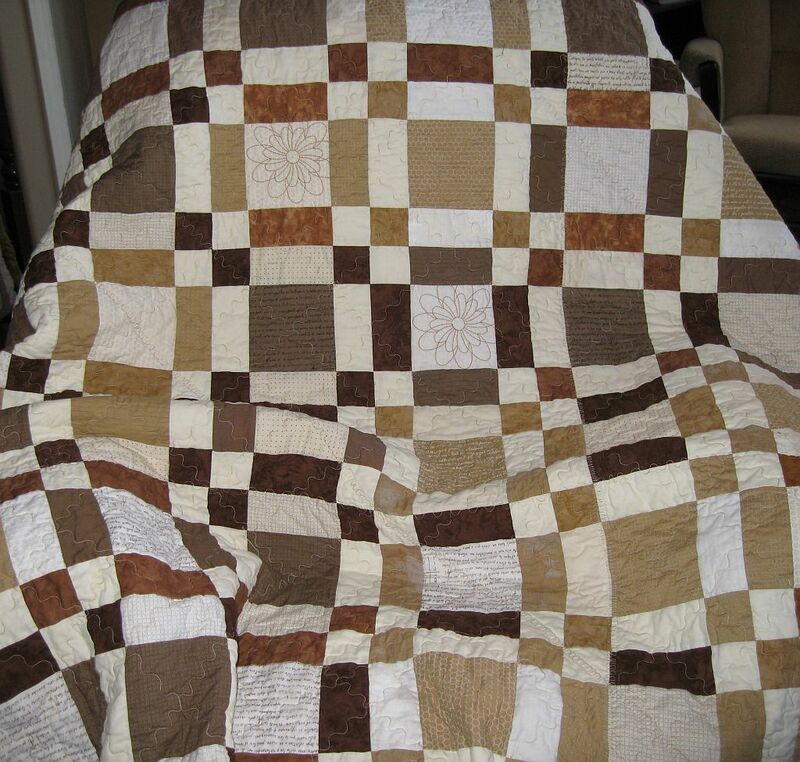 I stitched in the ditch with a thin matching polyester thread, quilted paisleys in the backgrounds with high-sheen polyester in cream, added a fun heart loop motif in the border with high-sheen heavy polyester and quilted the straight brown accent lines in cotton. I use whatever thread I have that will match best! 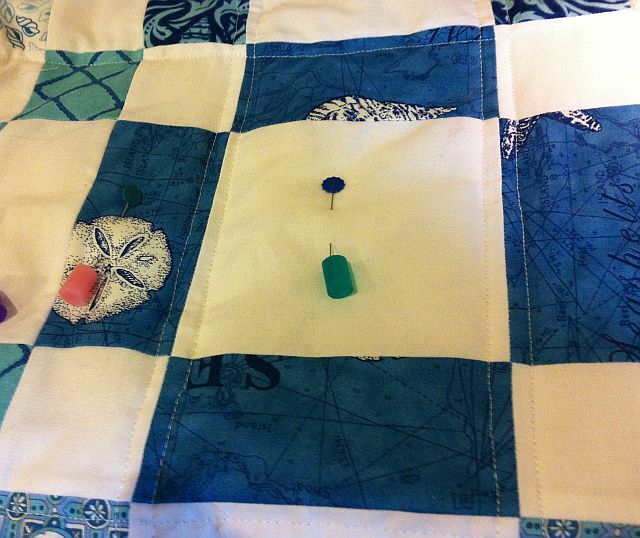 Step 5 – Bind Your Quilt and Check off Another UFO!! 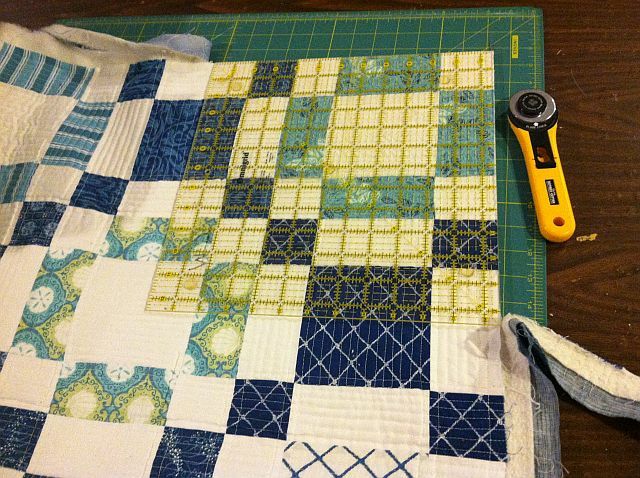 Using your favorite method, bind your quilt and finish stitching either by hand or machine. Megan from Canoe Ridge Creations has recently put up a wonderful double-fold binding tutorial here on her blog. My table runner measures 12″ x 30″. I am pleased to add a little more LOVE to my home! For my fabrics I “borrowed” a few strips of BasicGrey’s Kissing Booth from a jelly roll I have set aside to begin my next quilt-along (starting in 2 weeks). I cut the letters from a fat quarter of Pearl Bracelets in watermelon. The binding and backgrounds were from my stash. Here is the complete mini-quilt along schedule. Click the links to go to each section. 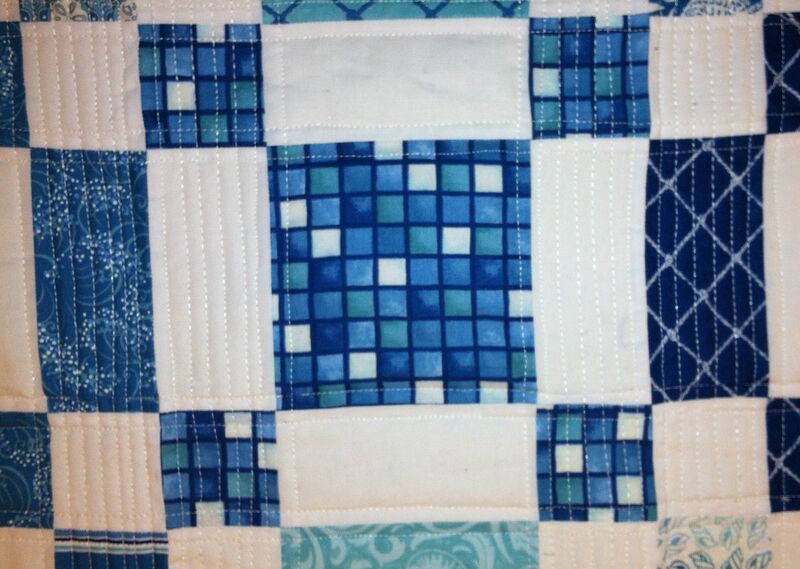 Please join my ChristasQuiltAlong flickr group to share pictures of your work-in-progress. The vertical love wall banner uses the exact same directions as the table runner except that the letters are arranged vertically instead of horizontally. 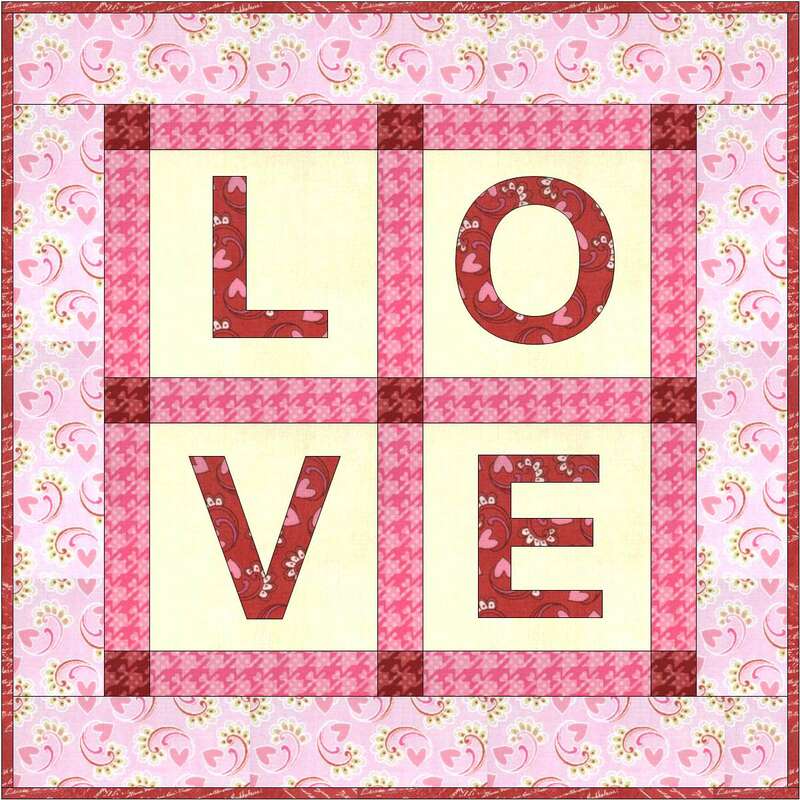 The love block would make a great wall-hanging, pillow, or center of a larger quilt. How are everyone’s quilts coming along? 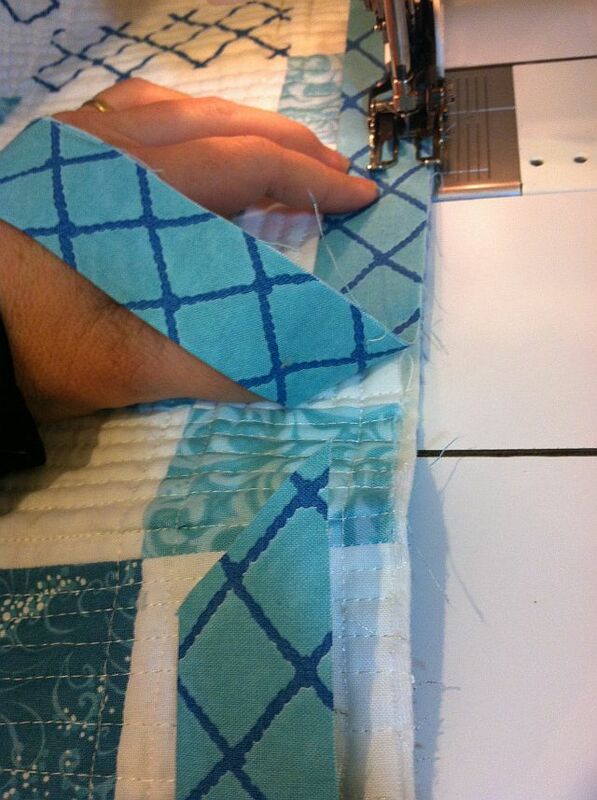 I sure am enjoying seeing pictures of your quilt-in-progress on my Christa’s Quilt Along flickr group. 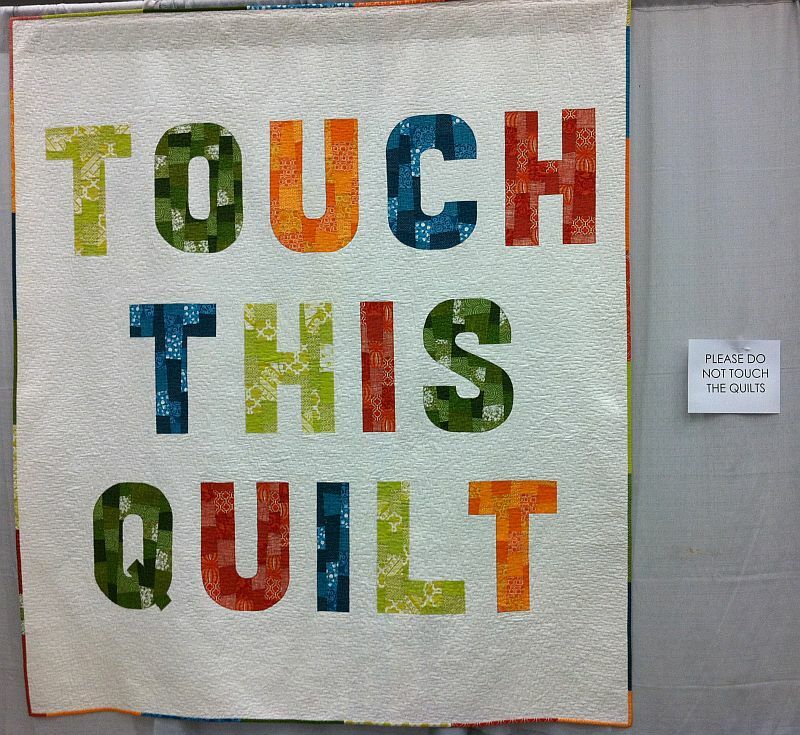 I will be adding more quilting to my quilts because one of my quilting mottos is, “Quilt the heck out of it!” I will show that optional extra quilting next week. 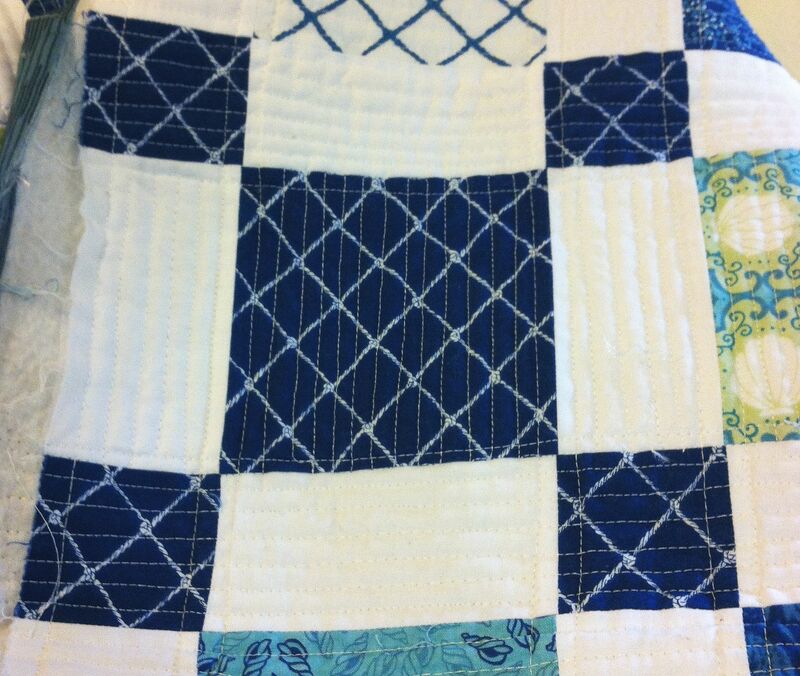 For this quilt, I would like my quilt to have some definition but I don’t want the stitches to stand out too much. I selected a little bit heavier weight thread – a 40 weight polyester with larger quilting needle (size 90) to go with it. I wound my bobbins with the same color but in a lightweight 60 weight polyester. I chose a cream thread because there is so much white in the quilt. The cream will blend into the white but It’s not quite as “stark” as white so it won’t be too bright against the blue fabrics. 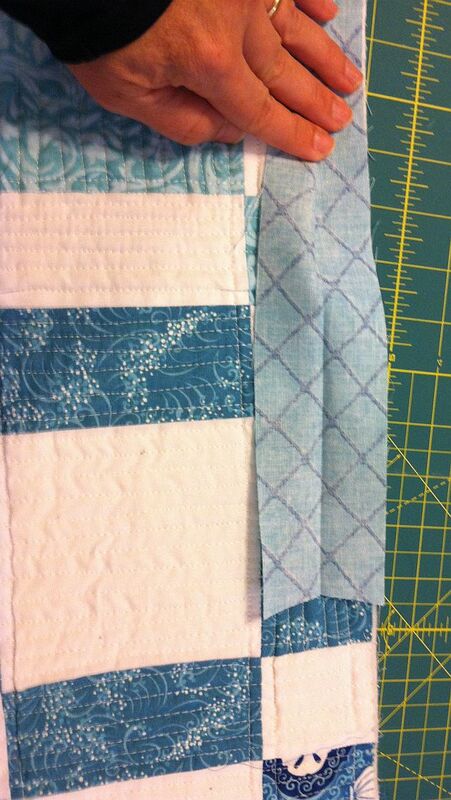 It’s a good idea to practice on a scrap quilt sandwich first, even when quilting straight lines. This way you can check tension, stitch length, and thread color before you begin. Before you get into any fancy-shmancy quilting, it’s a good idea to “anchor” your quilt first by quilting a few of the major seam lines. 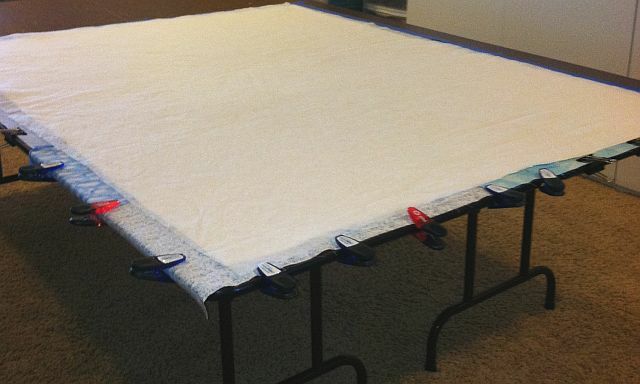 This will help stabilize your quilt. 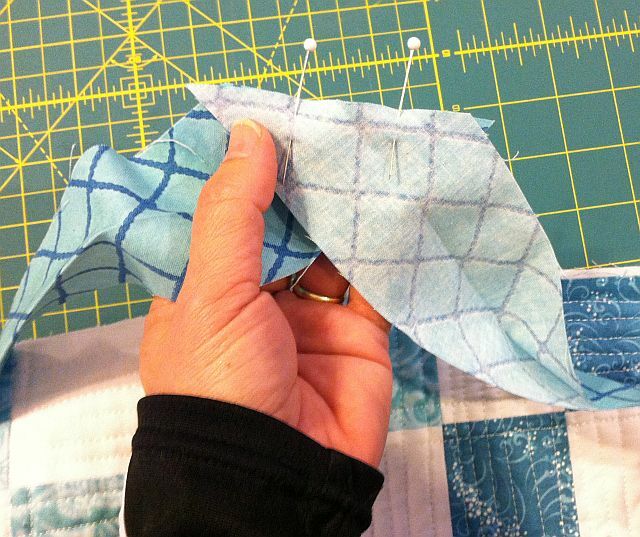 While doing this anchor quilting, you want to stabilize your quilt in all four directions. 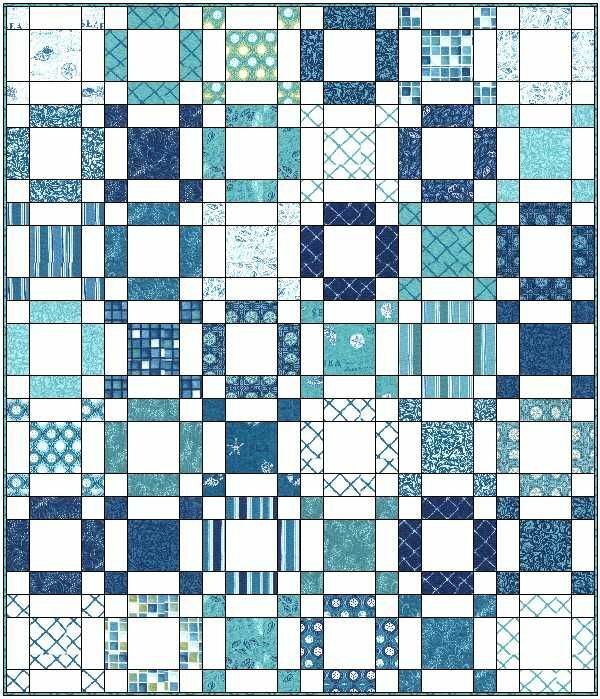 Think of this as a large grid across the top of your quilt. I can quickly and easily pull out the pinmoors as I quilt. 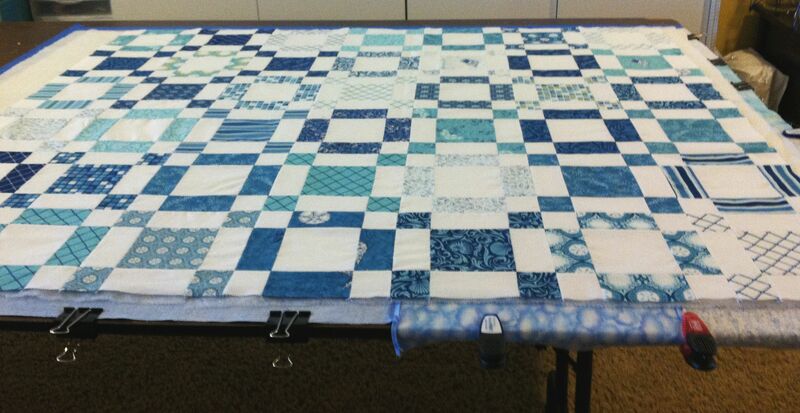 With the quilt laid out horizontally, I started quilting on one edge of the quilt. Using my walking foot as a guide, I stitched about 1/4 inch away from the ditch. I used a slightly longer stitch length and quilted continuously in one long row from the top of the quilt to the bottom. 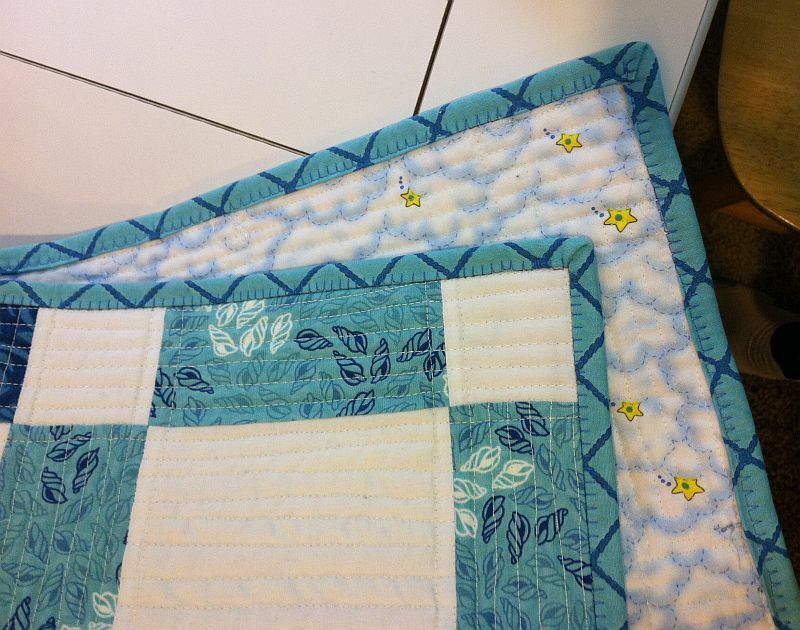 Because the lines go all the way across the quilt and the edges will be covered by the binding, I did not need to lock my stitches or tie them off. When I got the the end of this first line of quilting, I “scooted” over a whole block width to the right (leaving less bulk under the machine). I quilted 2 more rows in the same manner. Don’t quilt the very edges of the quilt yet; you can do that at the end. Next, it was time to rotate the quilt 180 degrees and quilt some anchor lines on the other half of the quilt. Again, I quilted them about 1 block width apart. Now the quilt has been quilted in 2 directions. 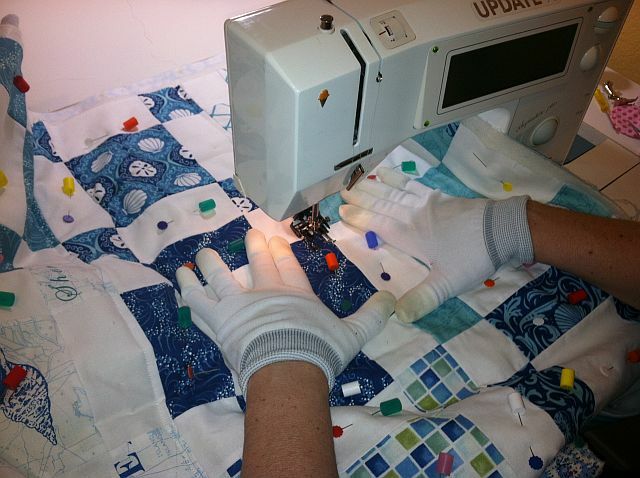 By the way, I love the Machingers quilting gloves because they provide a good grip on the quilt while moving and squishing it under the machine. 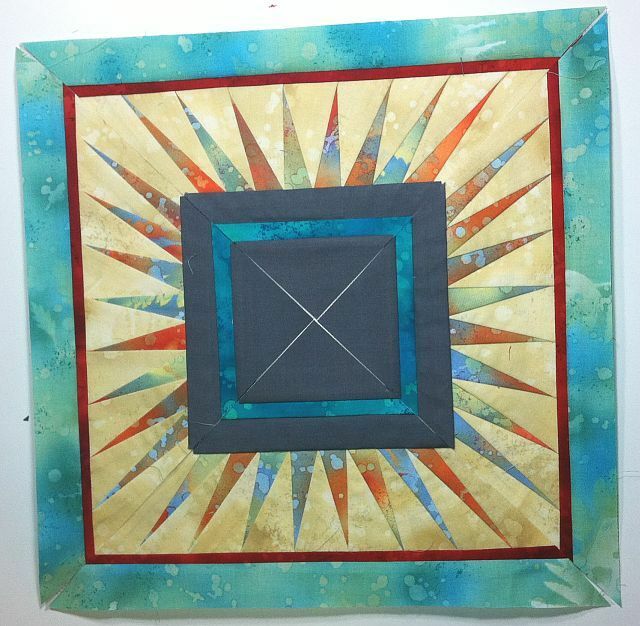 It’s time to rotate the quilt 90 degrees and quilt all of the vertical anchor lines now. Again, start in the middle and quilt about 3 rows, one block width apart. Then rotate the quilt completely and finish off the other side. The quilting is now ready to be finished. Now I can start in the middle of the quilt and quilt all of the vertical lines halfway across the quilt edge of the quilt. When there is too much bulk under the machine, I rotate and finish the other side of the quilt. This section took a little longer because there were more rows to stitch. Again, I quilted half of the lines going one way, then rotated the quilt to stitch the other half. On the very last row which was near the edge of my quilt, I actually quilted 1/2″ away from the seam line rather than 1/4″. This is to take into account the seam allowance which will be covered by the binding. This is now enough quilting for this quilt, but as I said at the beginning, I will add more. Join me next week to see how I finish the rest of the quilting. If you’d like to try something a little jazzier than just straight lines, why not play around with the decorative stitches on your machine? 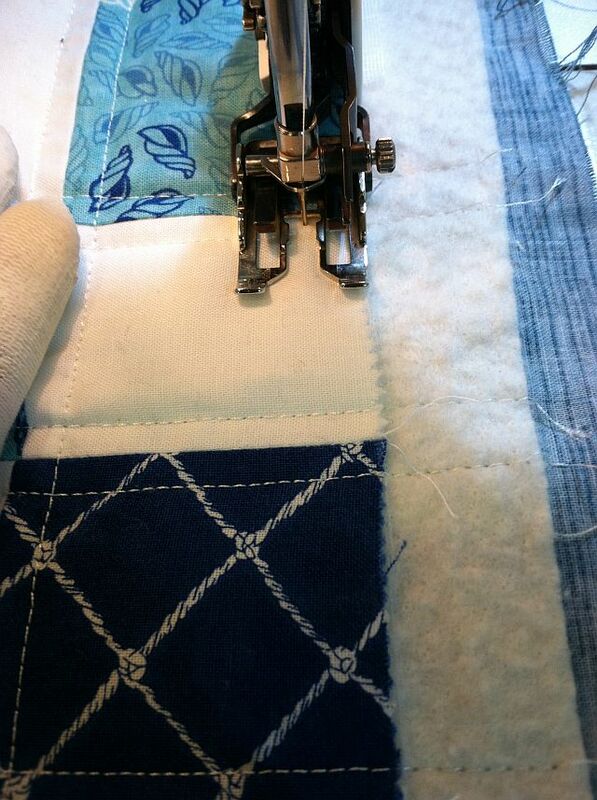 The picture above shows me quilting my Jolly Jelly Roll Quilt which was my first DIY Quilt Along. I used a wavy serpentine stitch which would also work well for Sea of Squares! I am adding to my list of UFO’s with my BOM and WIP! What in the heck does all that mean? It means I am starting some more quilts that are quickly becoming Unfinished Fabric Objects. 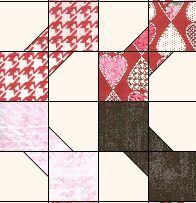 My newest quilt is a Block Of the Month project where I make a couple of quilt blocks each month until it is done. 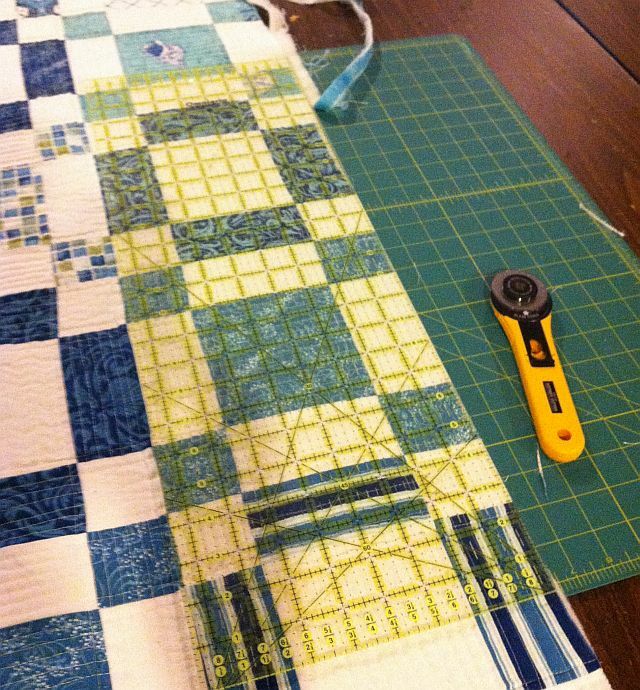 As long as I work on my quilts on a regular basis, they become my Works-In-Progress. Here are my two blocks that I just finished, following along with the Skillbuilder Block of the Month at PileOFabric.com. I absolutely love these blocks. I think they are turning out very modern and I am gaining more color confidence in working with solids. I am using Kona Coal Grey as the background and am very pleased with how it looks against the solids. A few months ago I tried to make my first “modern” quilt block by adding grey to a paper pieced block I was making from bright mottled fabrics. The block design was awesome, but it just didn’t work with the grey! I think my blocks above are much better. 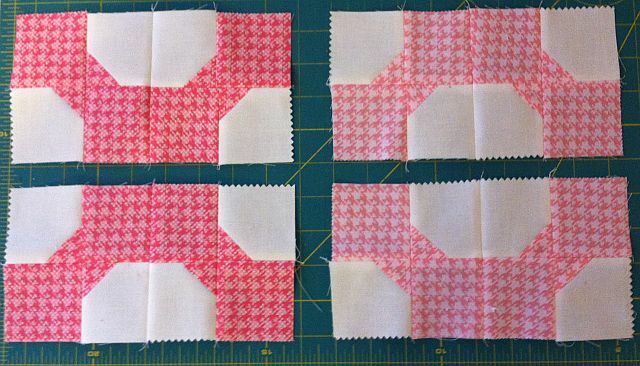 While sewing my BOM blocks, I used lots of starch to keep the skinny strips nice and straight. 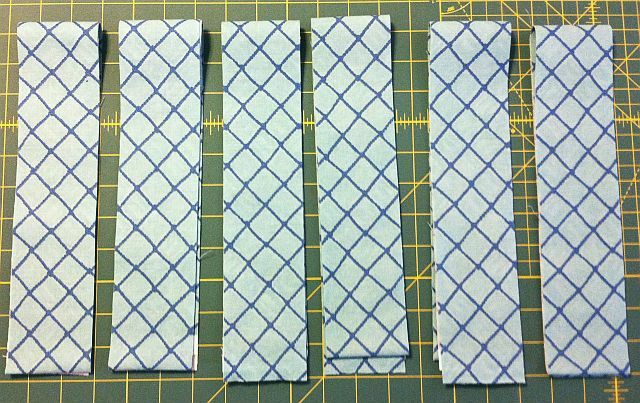 I also cut the strips on the grain parallel to the selvedge (instead of cutting them WOF – the Width of Fabric). This grain has less stretch and give to it. While sewing, I also flipped my sewing direction on each successive strip so as not to distort the fabric. It’s amazing how much this block shrinks up due to the seam allowances! I pressed all of my seams open first with a wooden seam roller (loving this tool!) and then with a dry iron. They are nice and flat! You can read my previous BOM post about picking fabrics. If you would like to join me, my friend Alyssa and a few (hundred) others making these fabulous blocks, just go to PileOFabric.com and check out her Skillbuilder Block of the Month. I finished my pieced backing from last week and now it’s time to baste Sea of Squares! (1) Completely secure the backing to a large flat surface. I use two heavy duty utility tables that I got from an office supply store. They are 8′ long and I keep them up all the time. It’s my work surface and my cutting area, plus the kids use them for art projects and homework. So they get a lot of use! 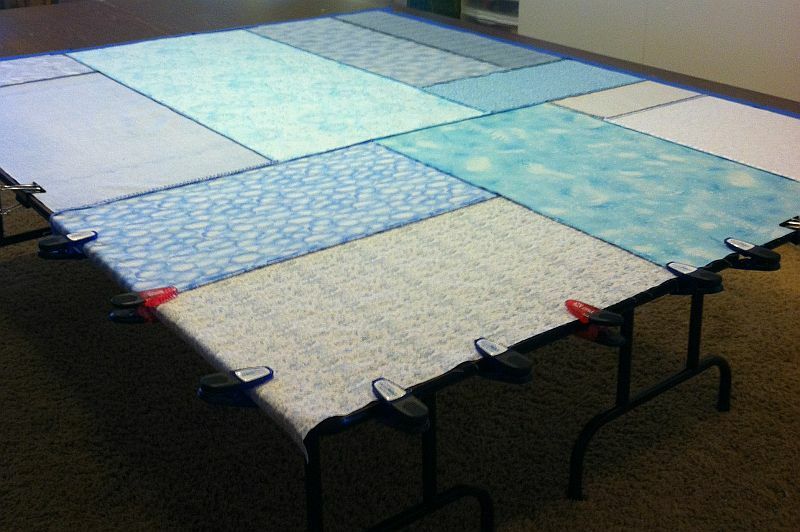 You can also use just one table if space is limited and move your quilt around as needed. I use office binder clips to secure the two edges of my backing to the edge of the table. Then I use a generous amount of tape to secure the other edges. You want to make sure that your backing extends past your batting and quilt top by at least a couple of inches. (2) Next, layer your batting on top of your backing and smooth it out nicely. Notice that there is no need to secure the batting layer. 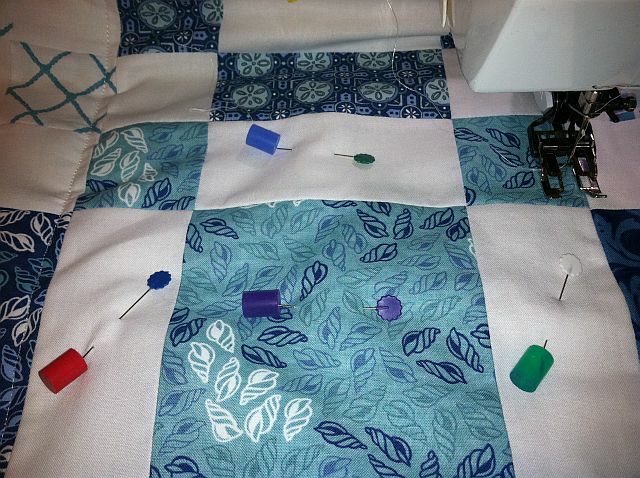 (3) Grab a helper to gently lay your quilt top onto the center of your batting/backing layer. If you are doing this solo, you can quarter your quilt instead and unfold it one quarter of a time. But I prefer a helper if I can manage it! 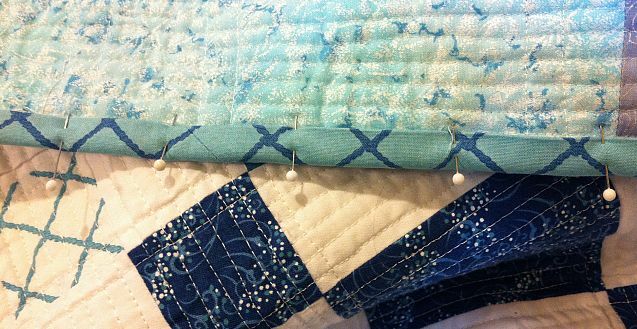 If either your top or backing are directional, don’t forget to check to make sure your quilt is oriented correctly before you begin. (4) Finally, let the basting begin! I prefer to use flat flower pins and pinmoors to baste. 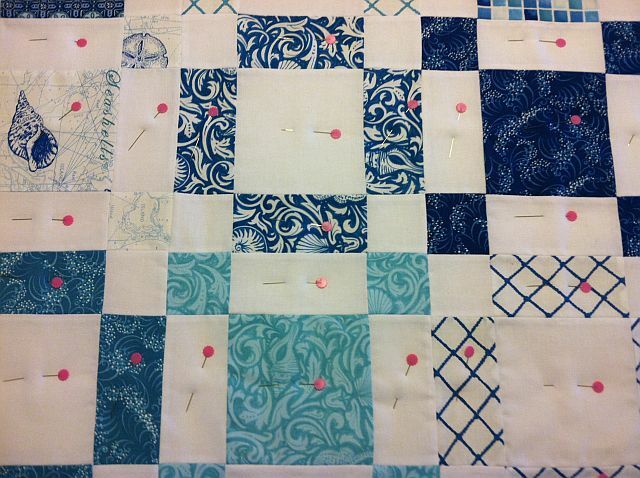 I insert the pins in the quilt first, one section at a time. Then I cap them all with pinmoors. With my table, I can reach all the way to the center of the quilt, so I can baste half of the quilt from one side; then I finish up on the other side. Pinmoors are a bit pricey but are well worth the investment. If you’d like to try them, I suggest buying one package and baste as much area as you can. 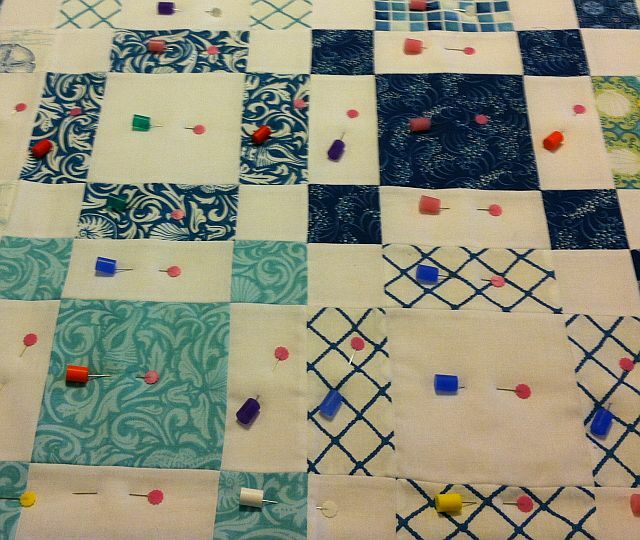 Then, baste the rest of the quilt with regular safety pins. When you are done quilting, take note of how much quicker and easier the pins and pinmoors were to remove versus regular safety pins! 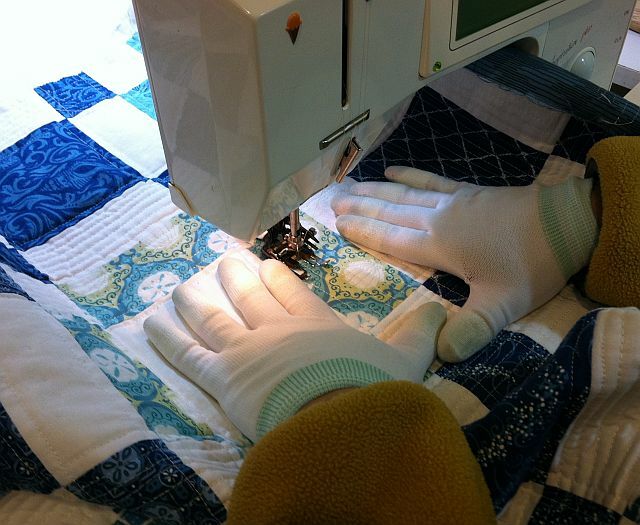 One note of caution – if you move and scrunch your quilt under your machine like I do, watch for any pinmoors that accidentally fall off so you don’t get poked! Be sure to push the pins in far enough so that they are secure. Now the quilt is ready for quilting next week. 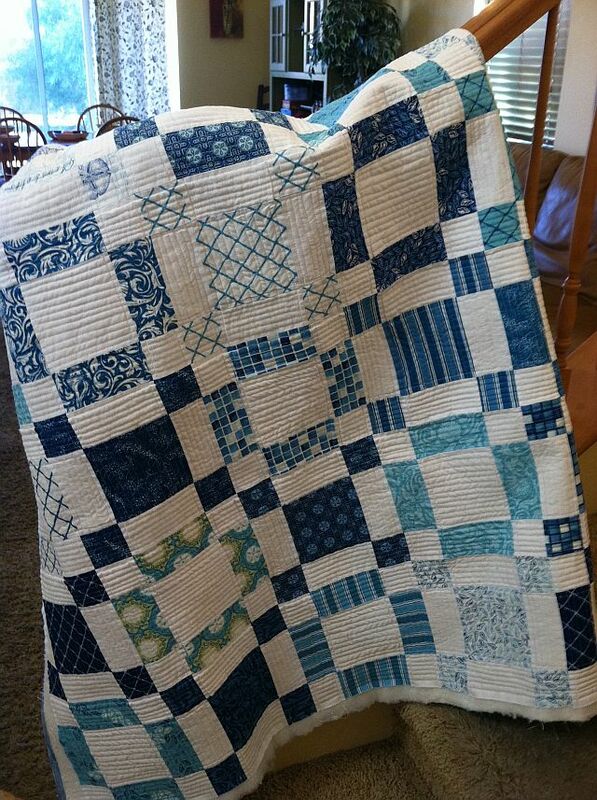 Be sure to post pictures of your quilt top, pieced backing or quilting on my flickr group: Christa’s Quilt Along. 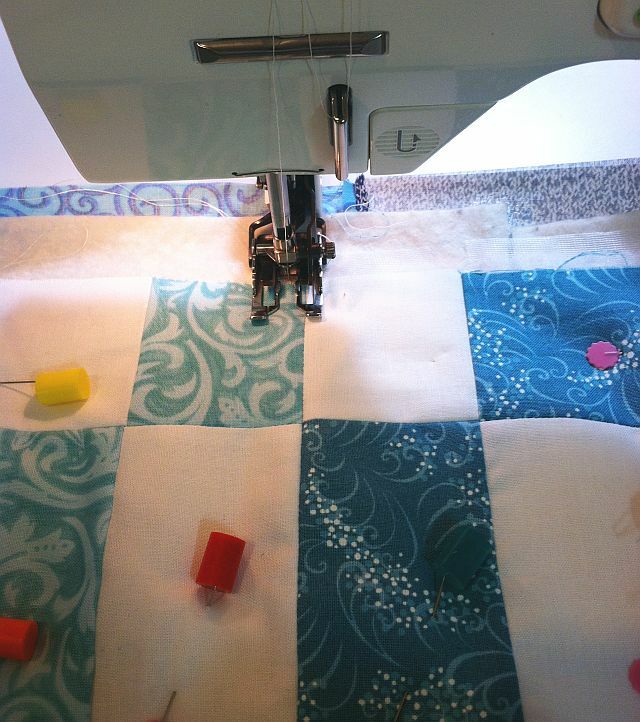 You can also share pictures of any of my previous quilt-alongs that you are working on!